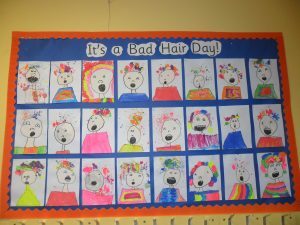 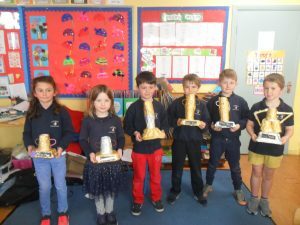 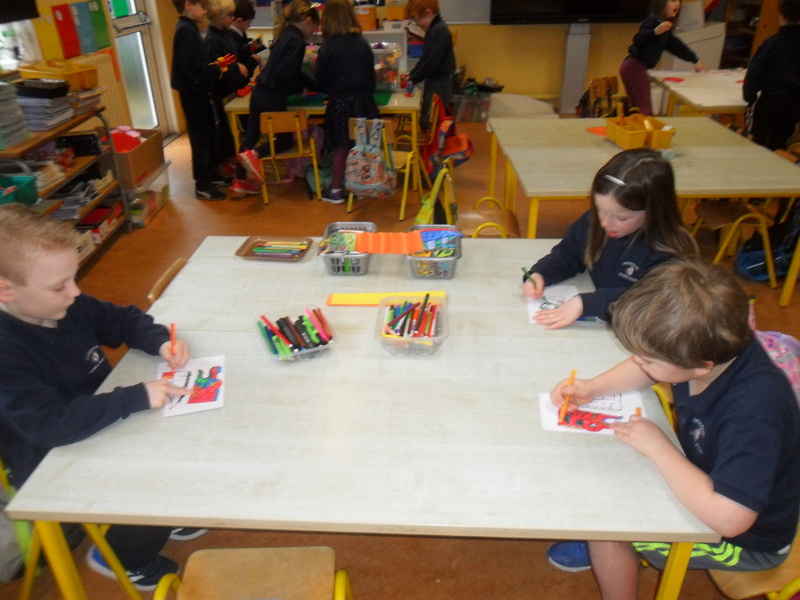 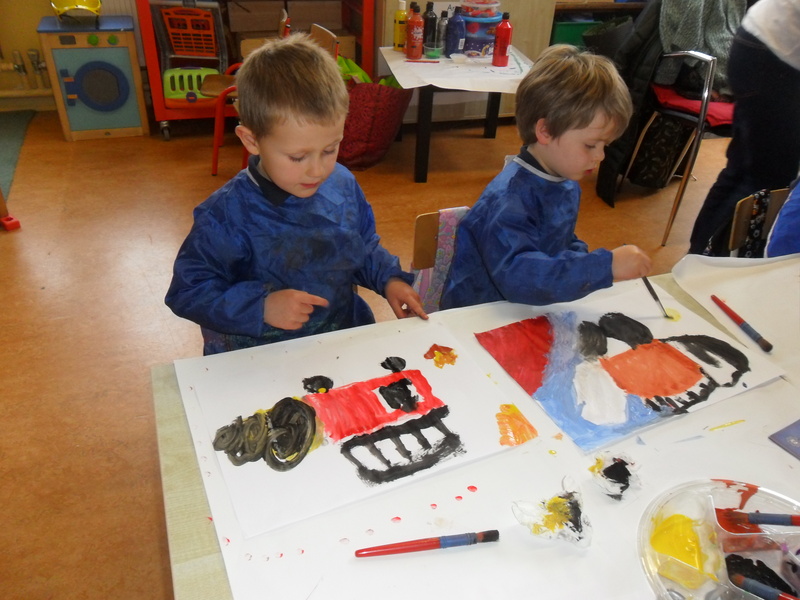 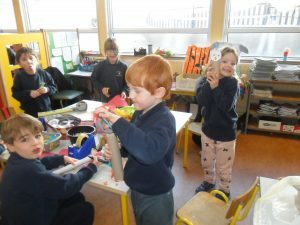 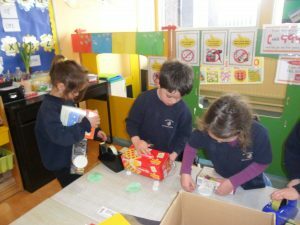 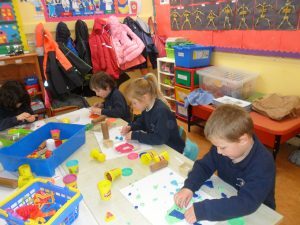 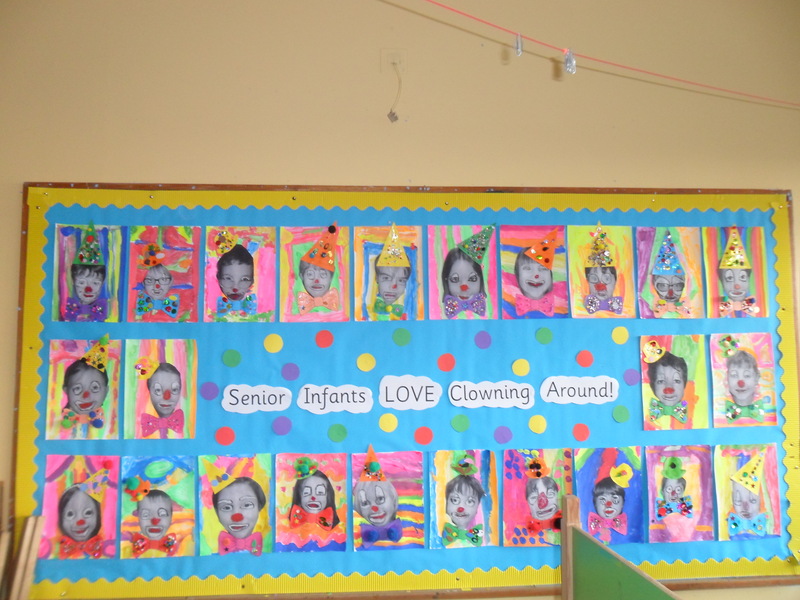 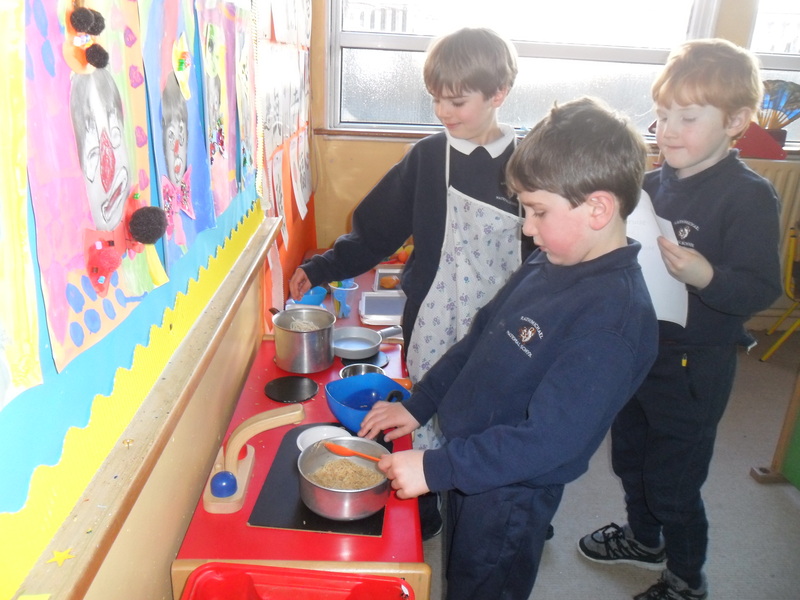 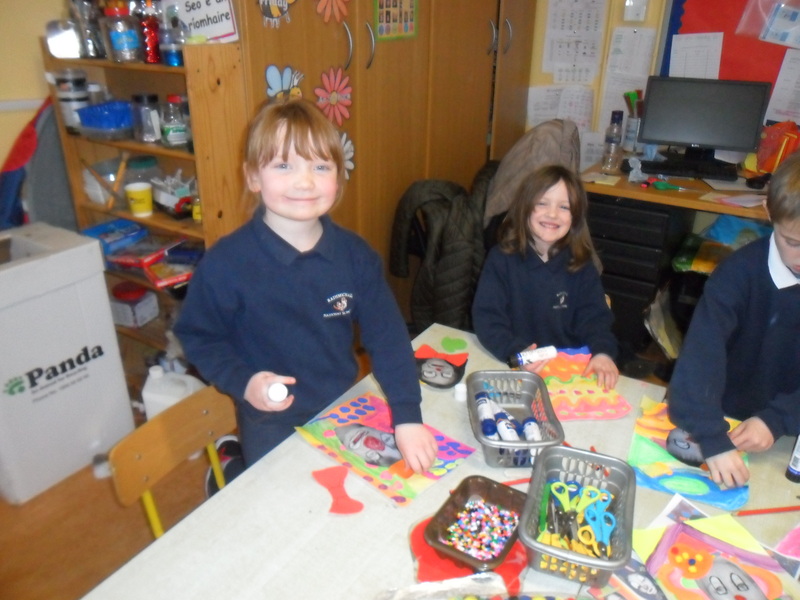 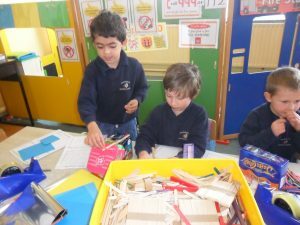 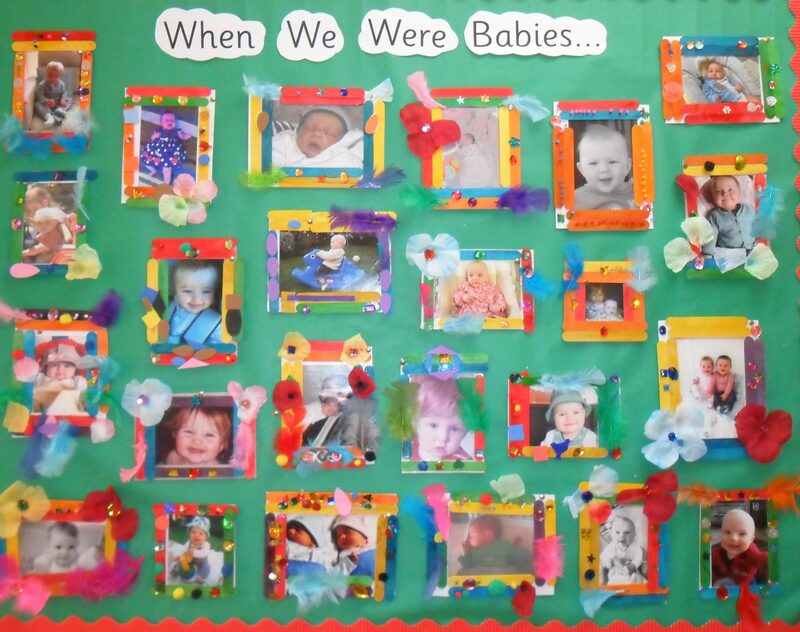 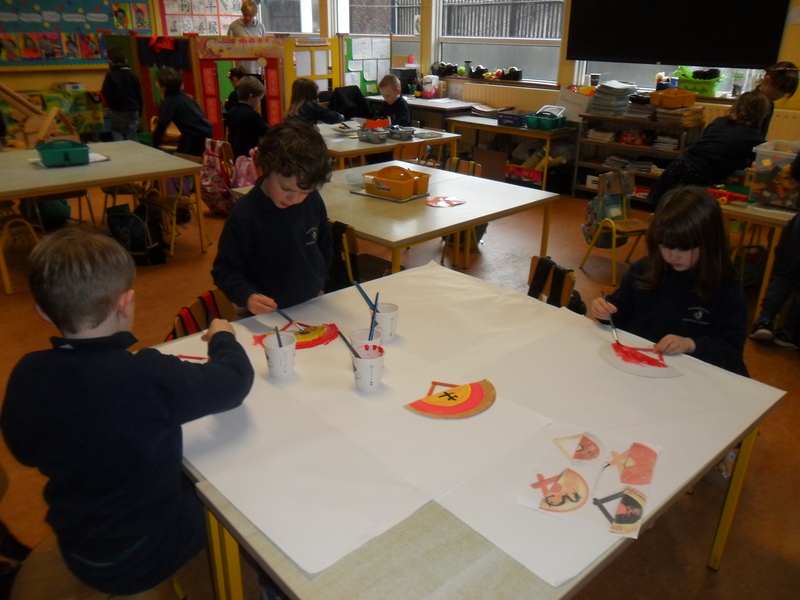 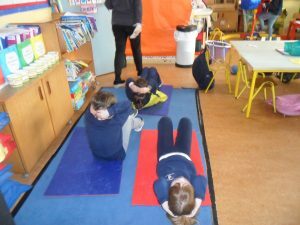 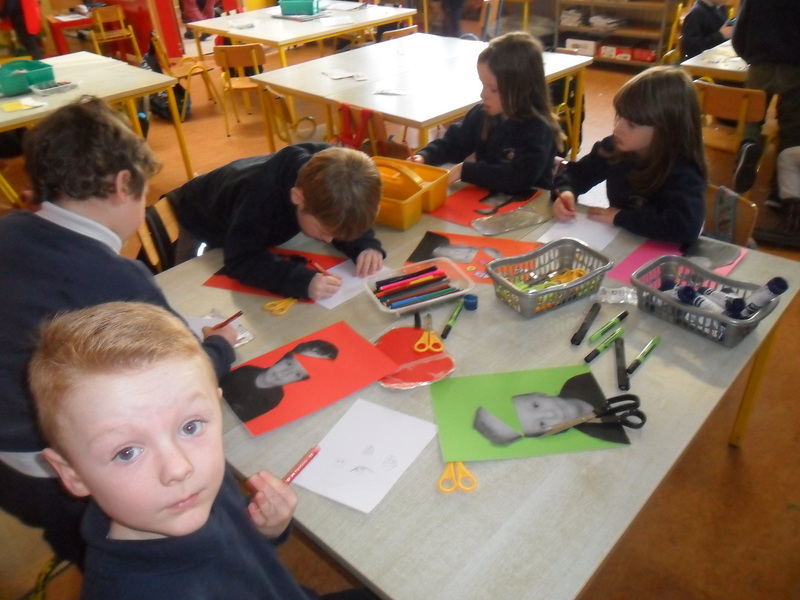 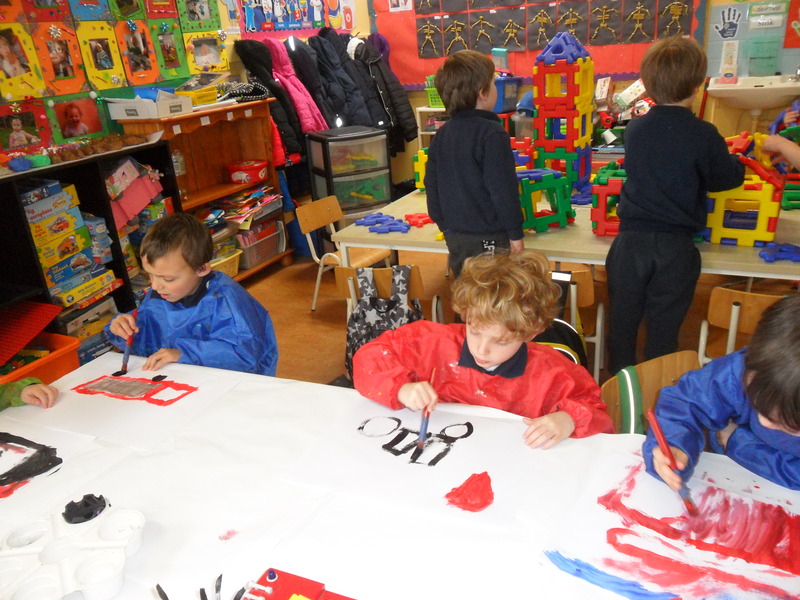 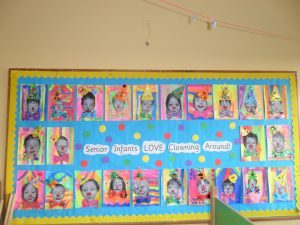 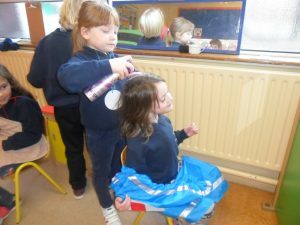 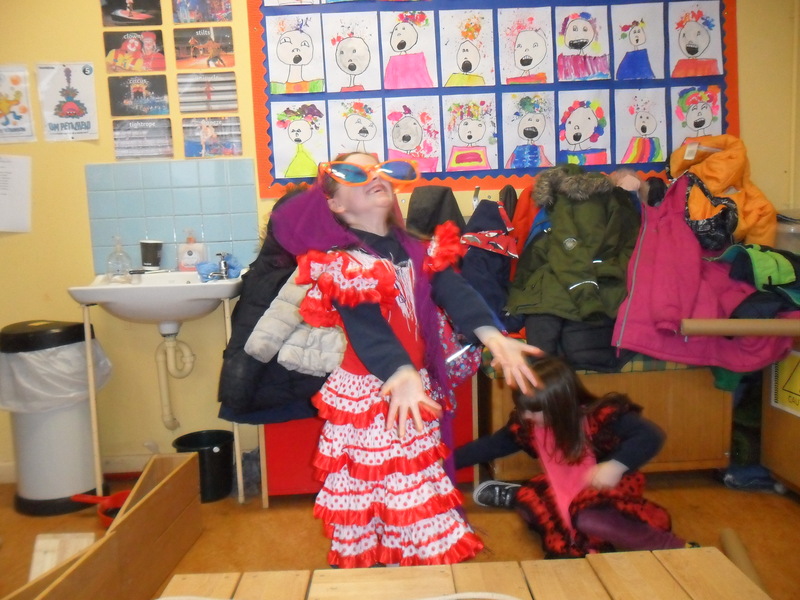 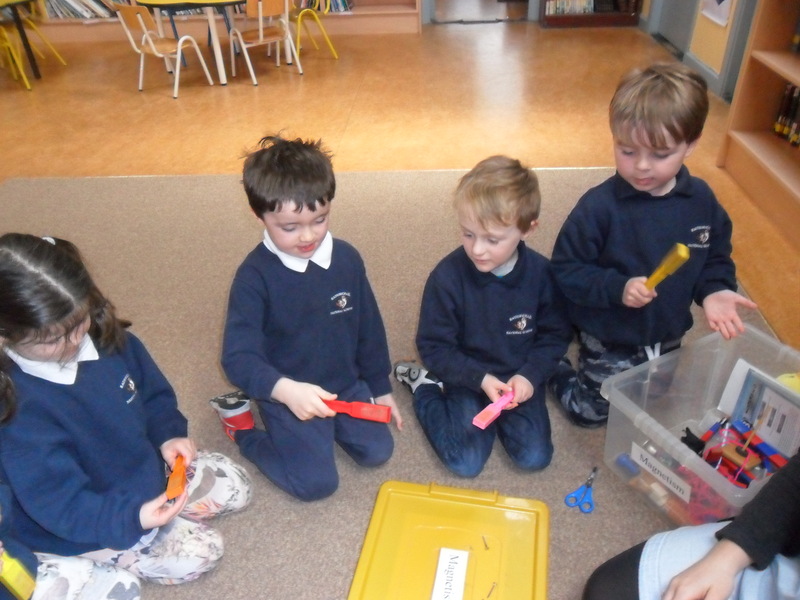 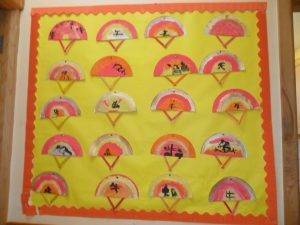 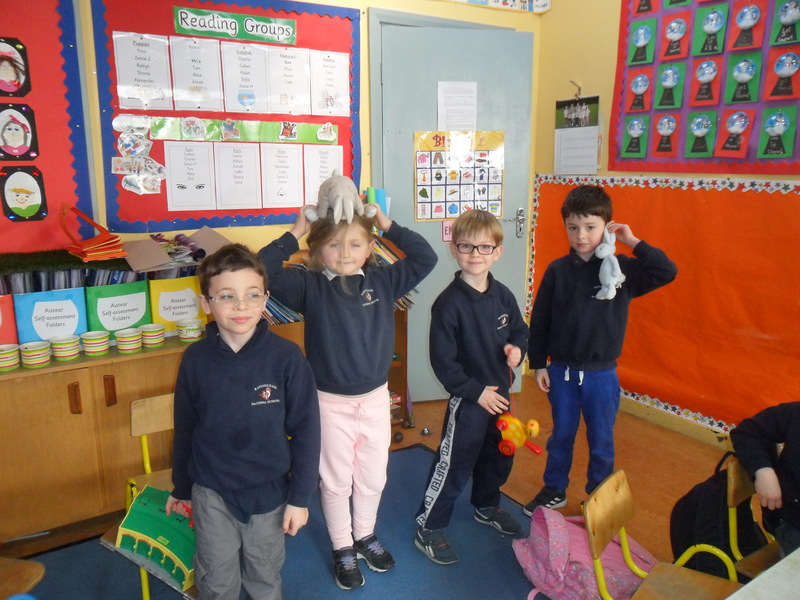 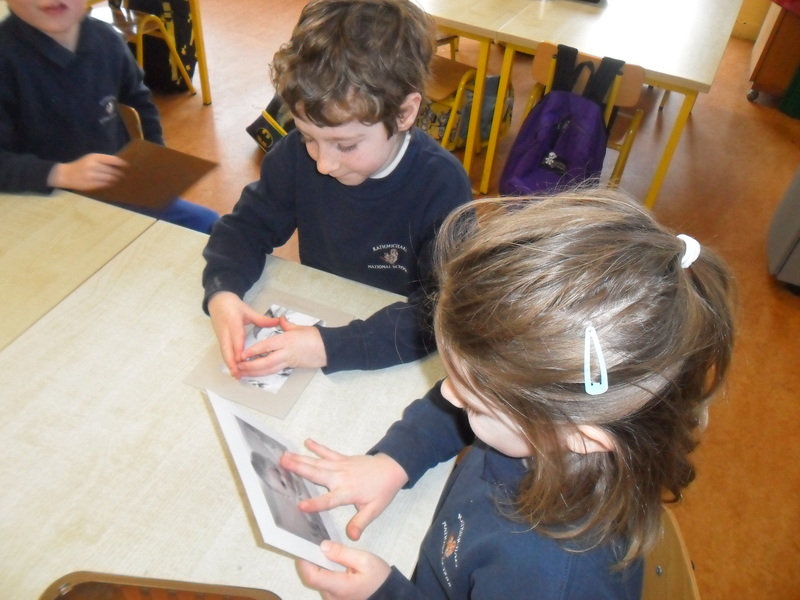 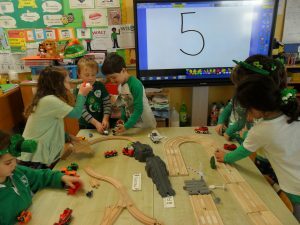 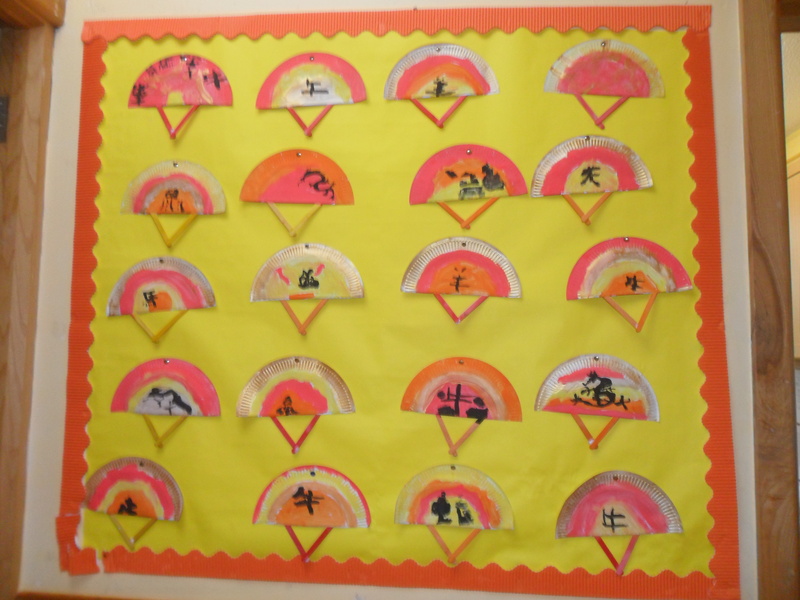 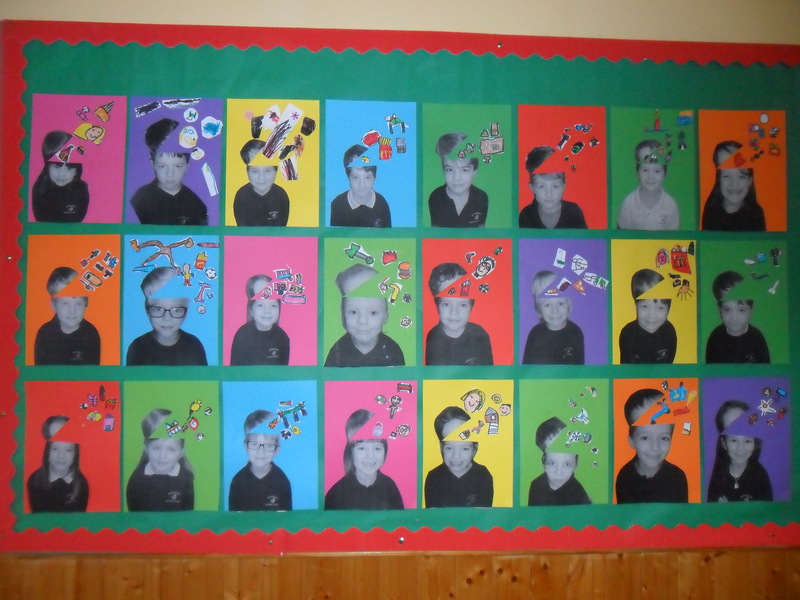 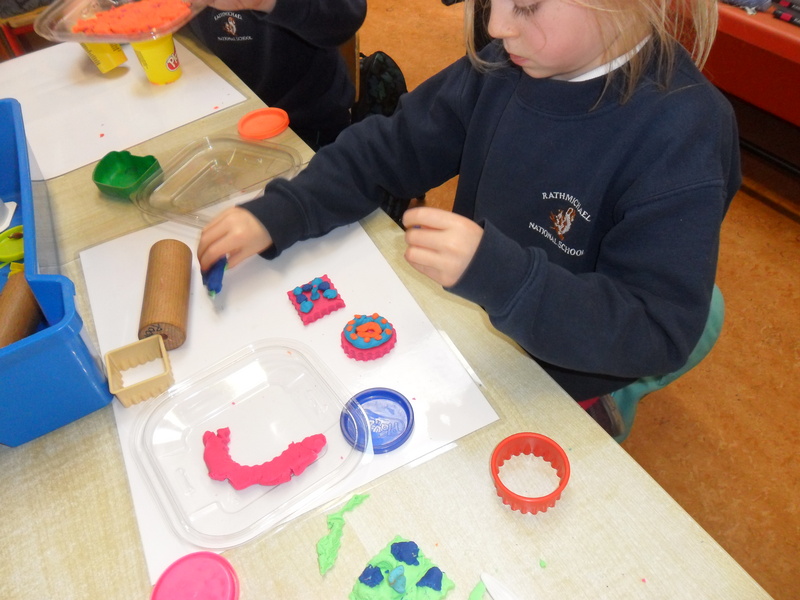 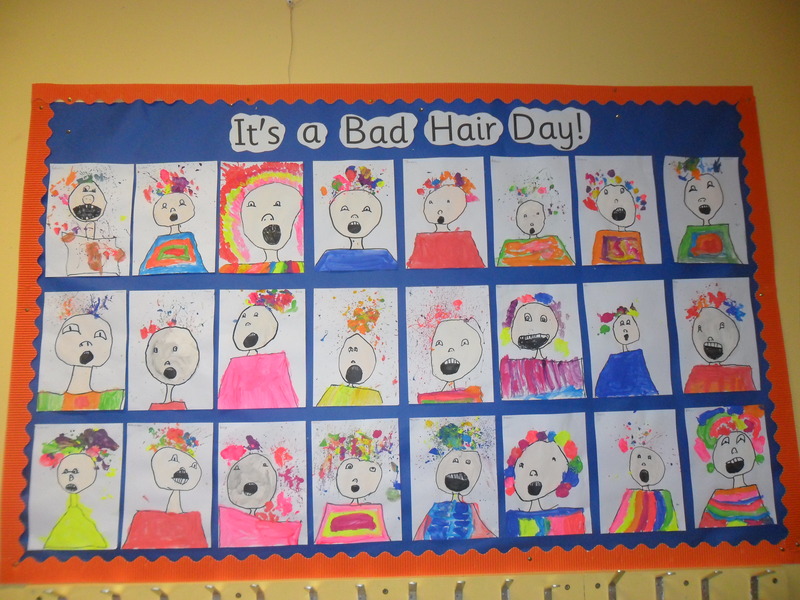 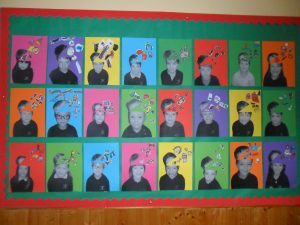 This month our theme for Aistear was ‘Our Bodies’. 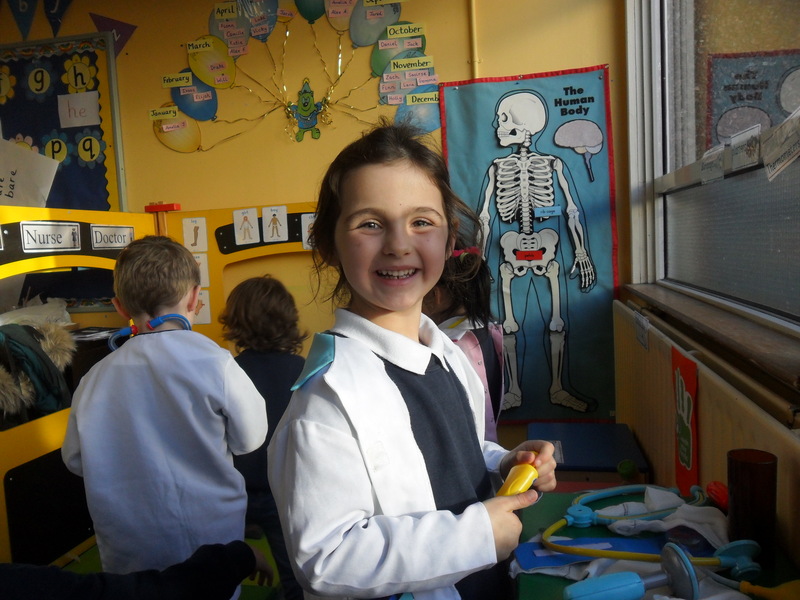 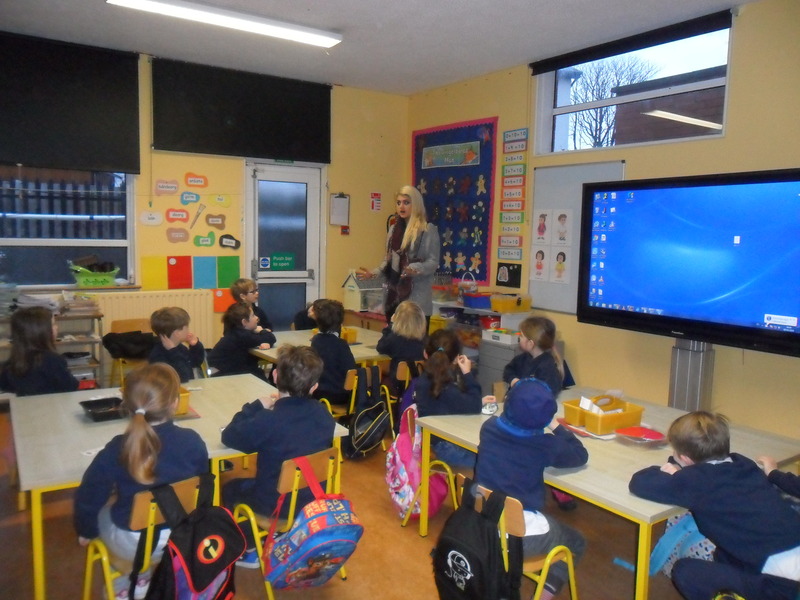 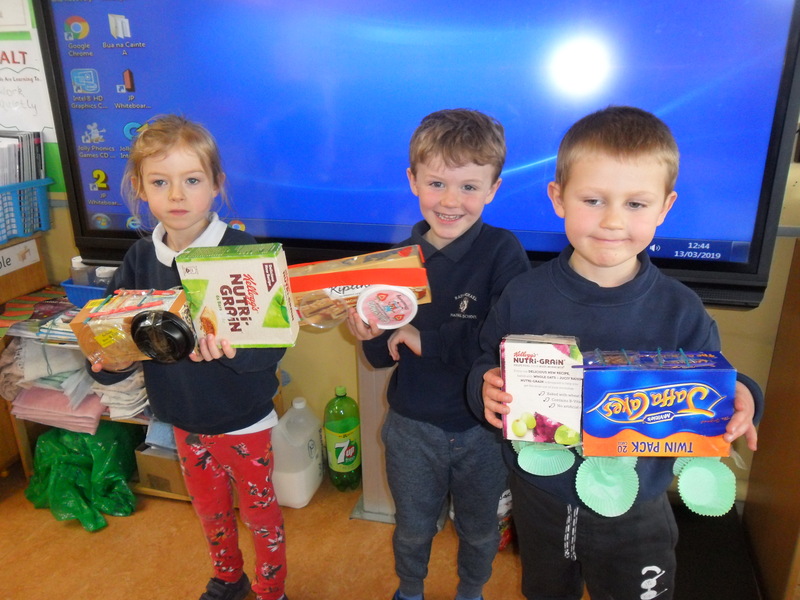 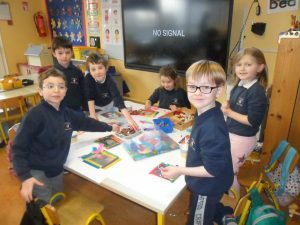 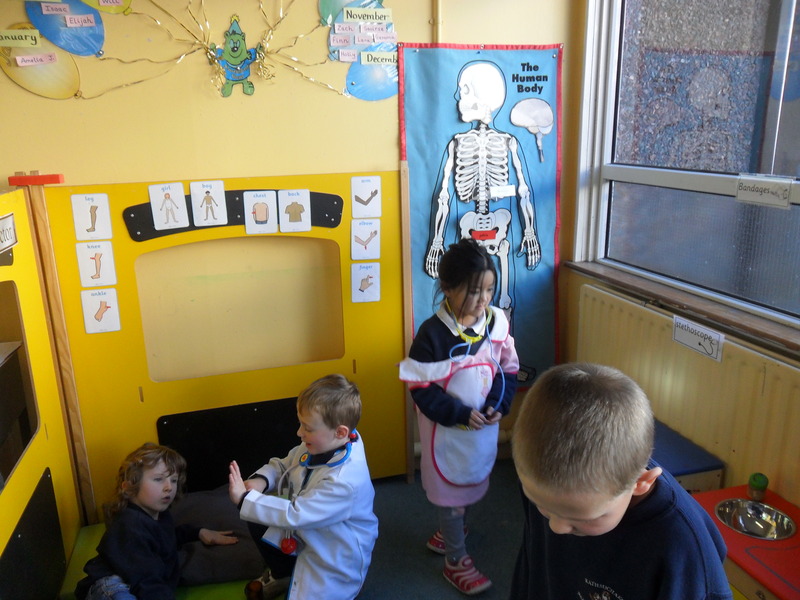 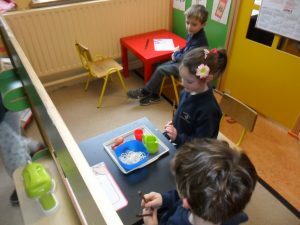 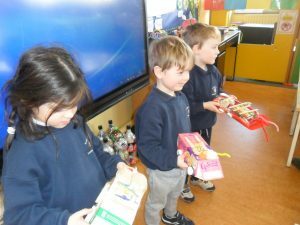 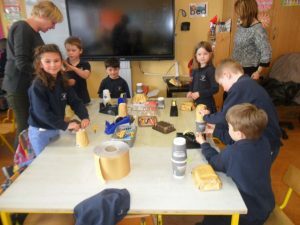 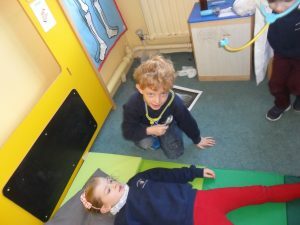 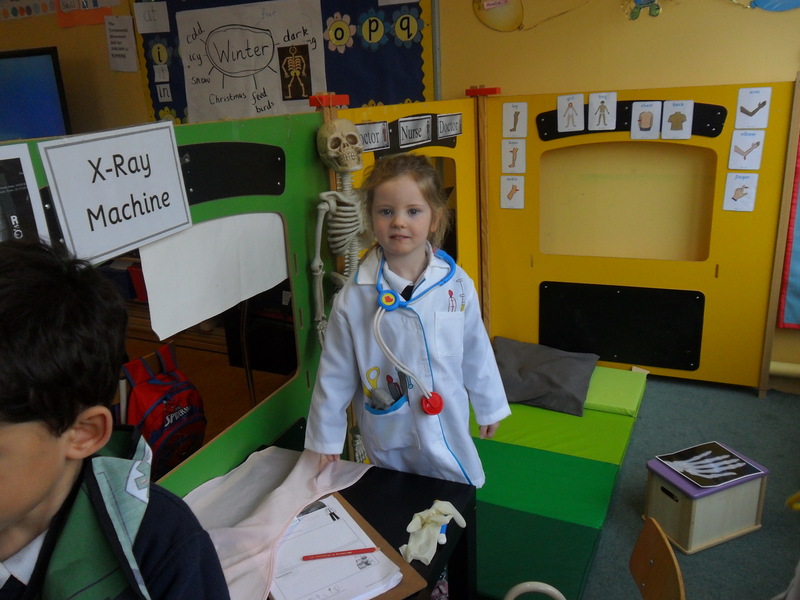 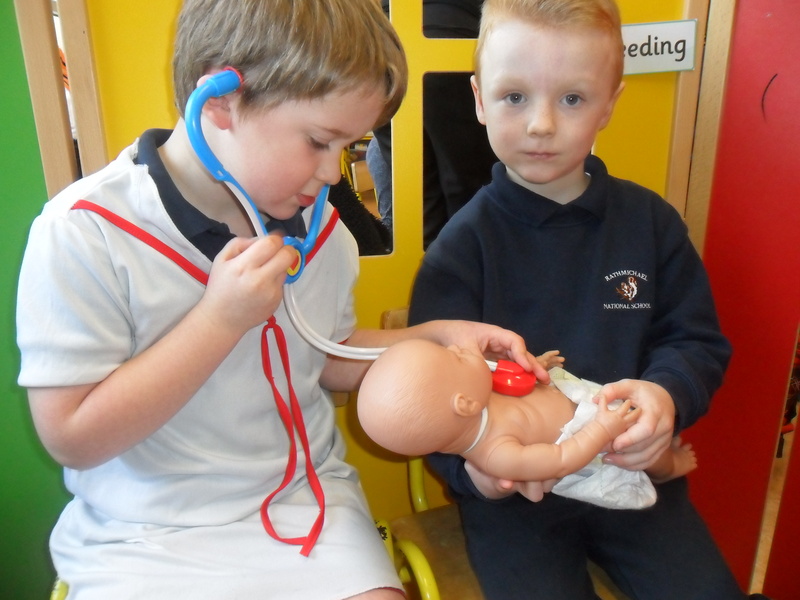 The children have been learning about their skeleton and its functions,healthy and unhealthy foods, the 5 senses, caring for our teeth,the importance of exercise, growing and changing and people in our communities who care for us like doctors and nurses. 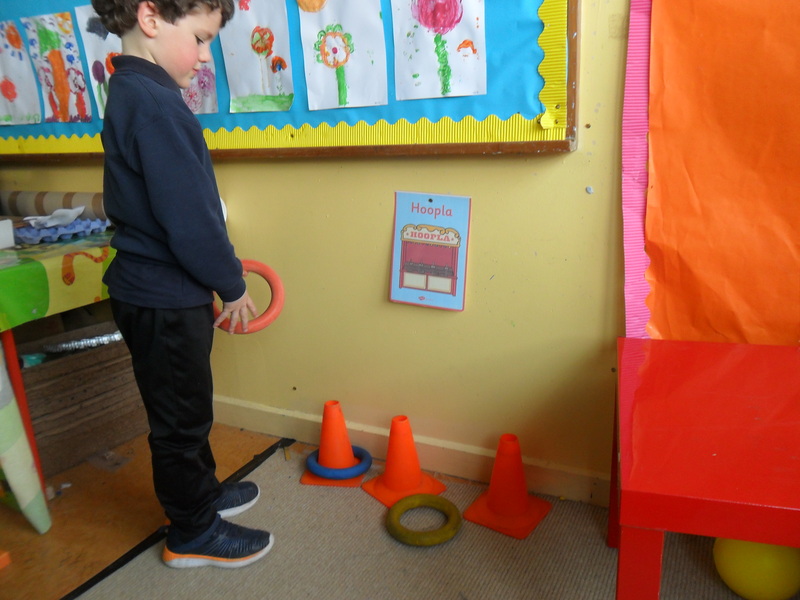 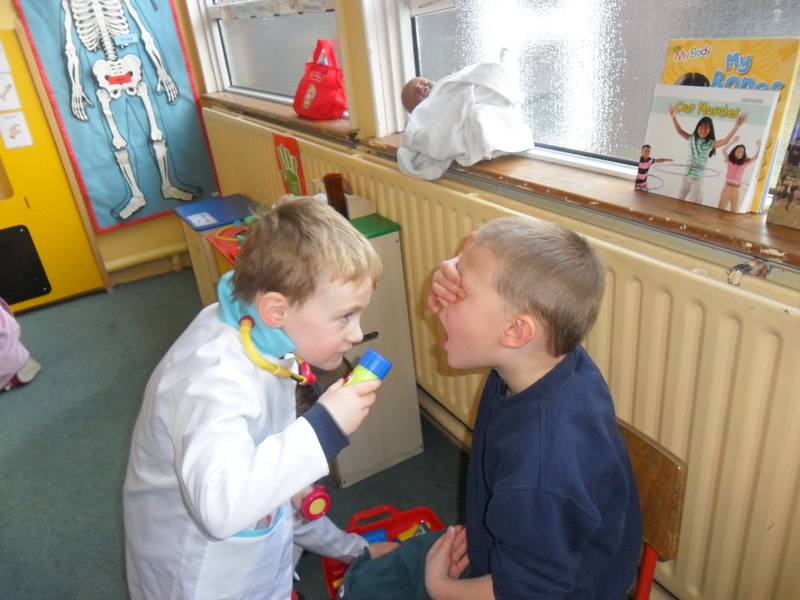 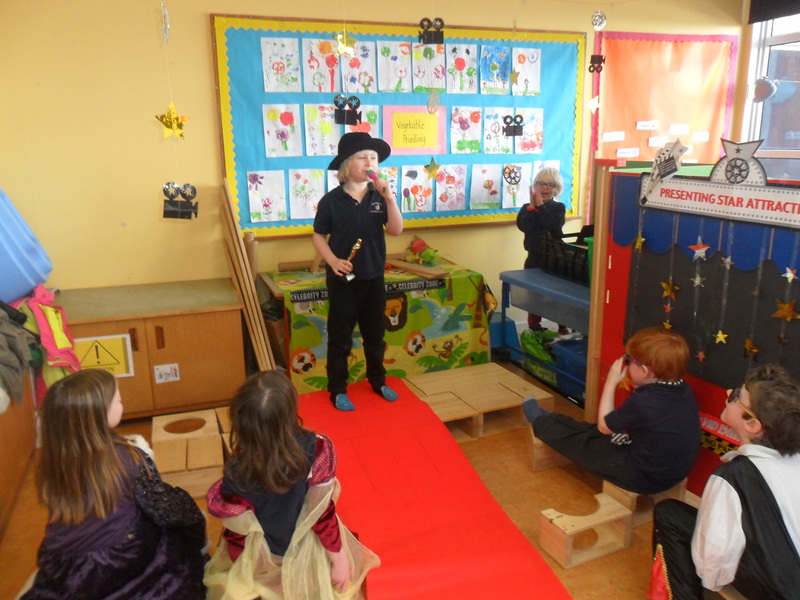 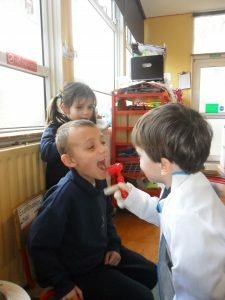 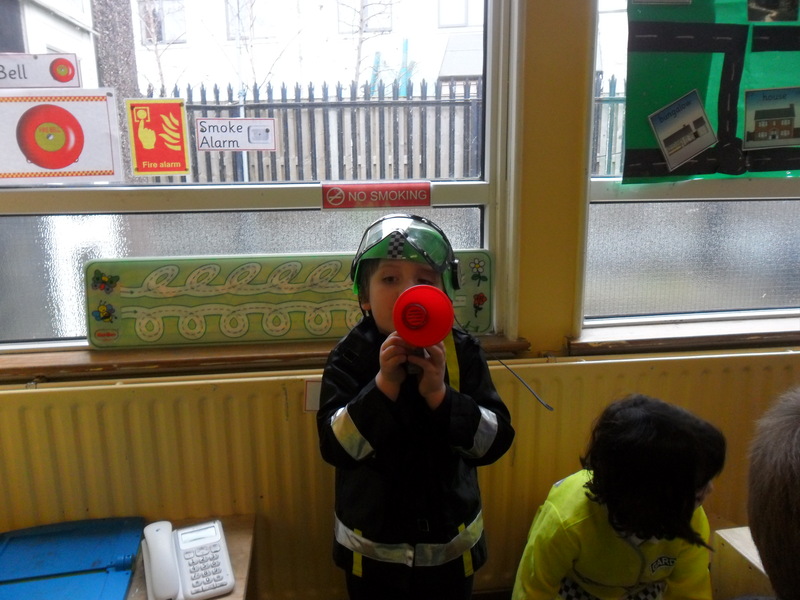 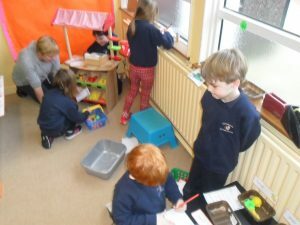 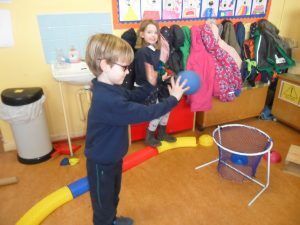 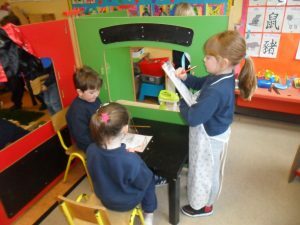 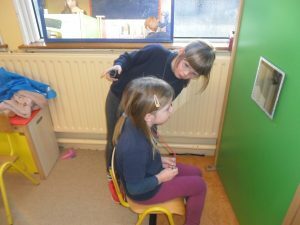 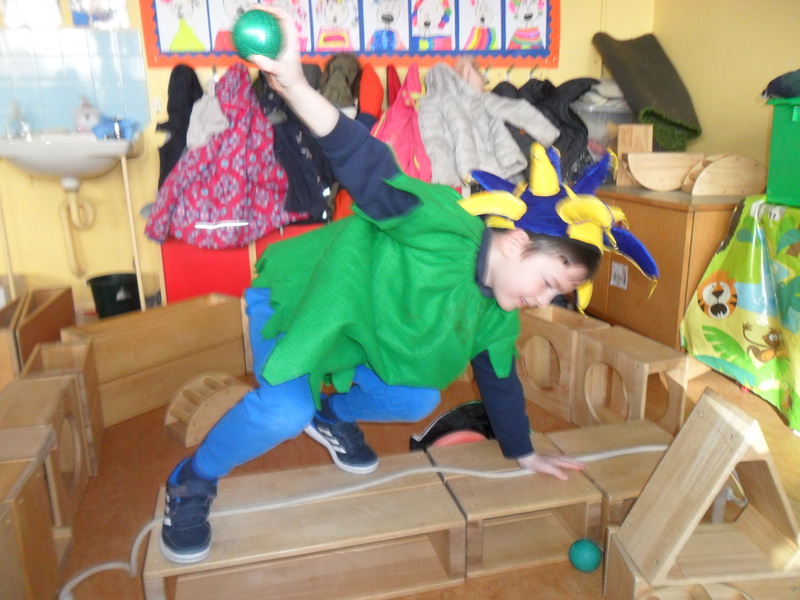 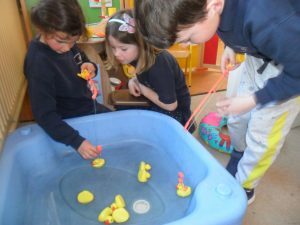 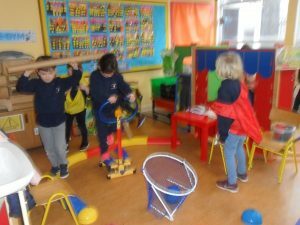 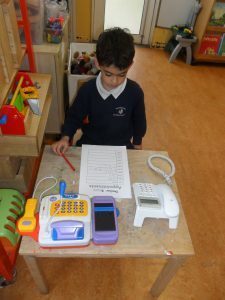 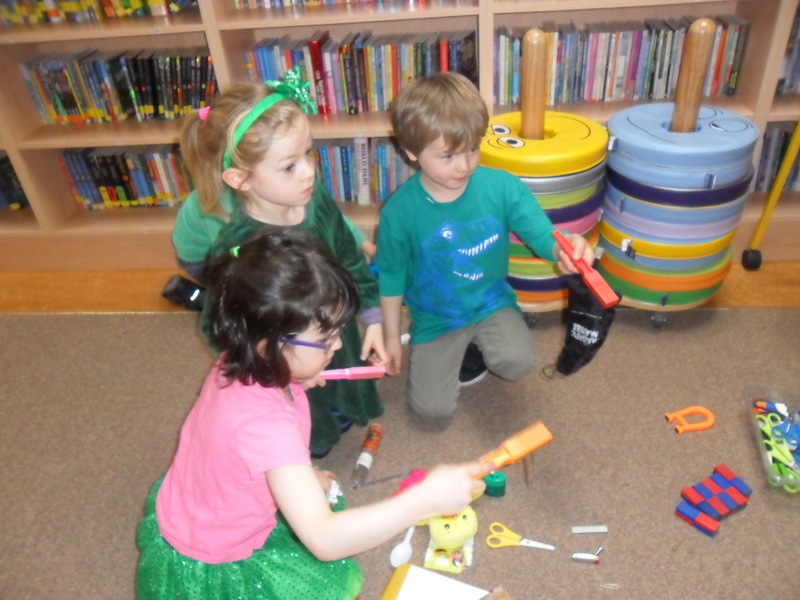 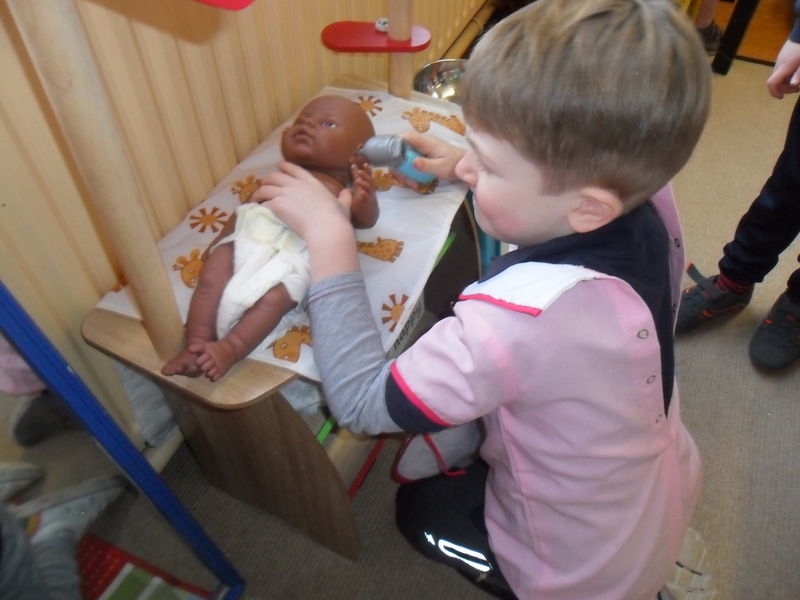 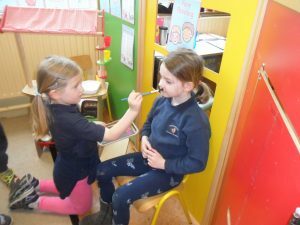 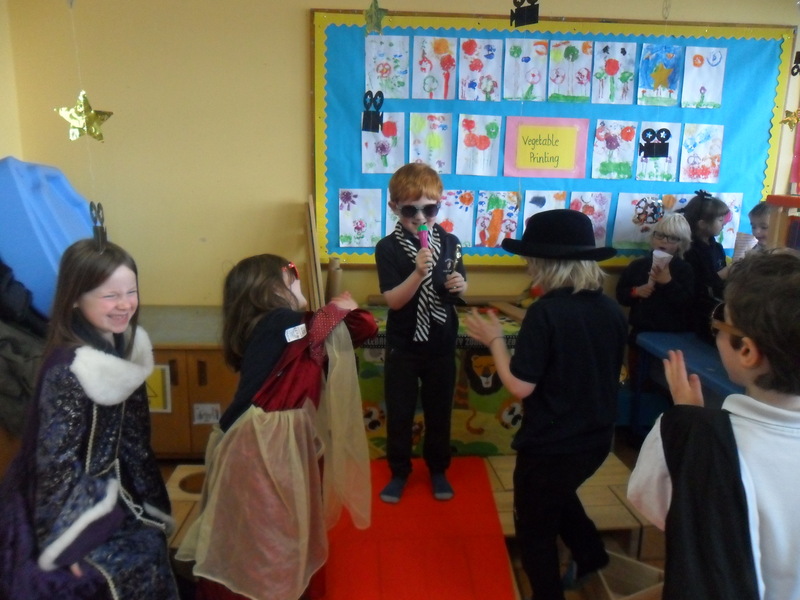 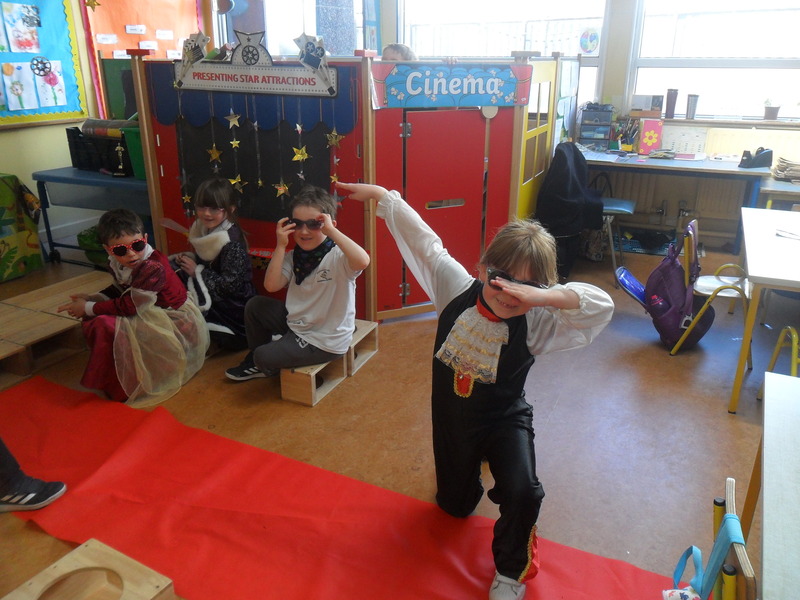 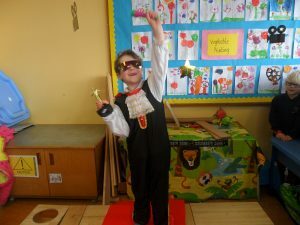 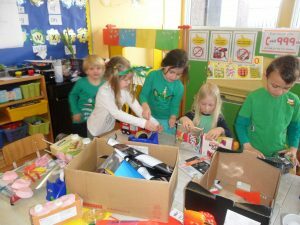 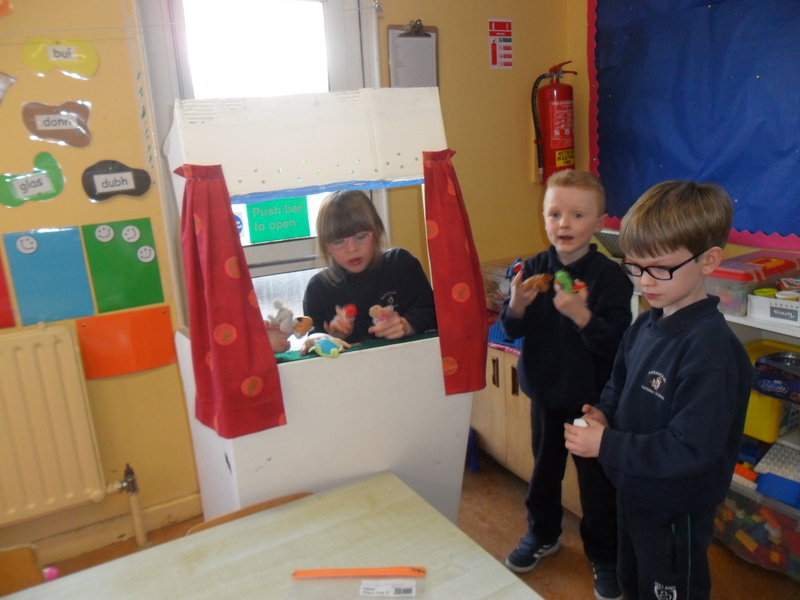 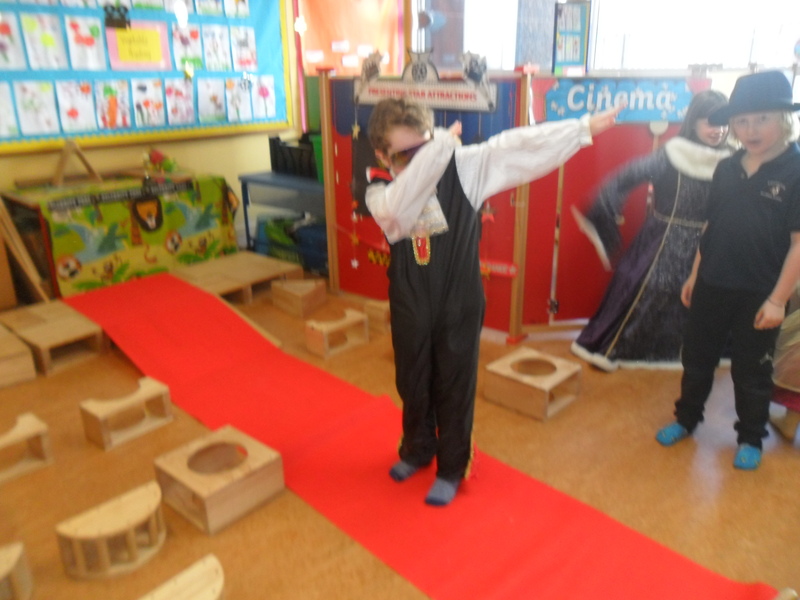 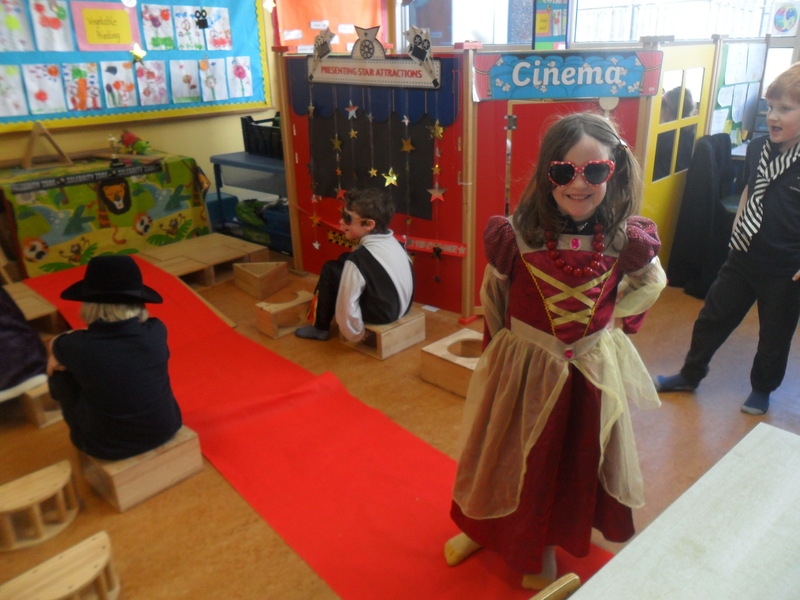 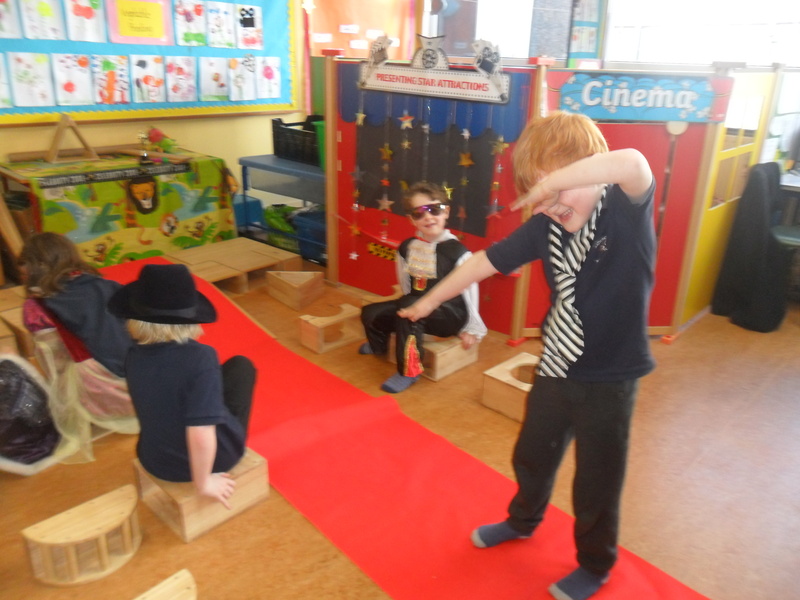 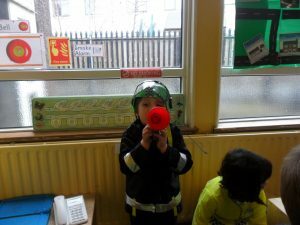 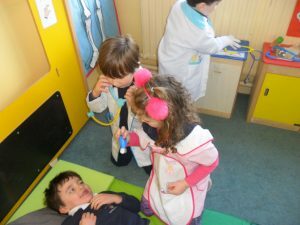 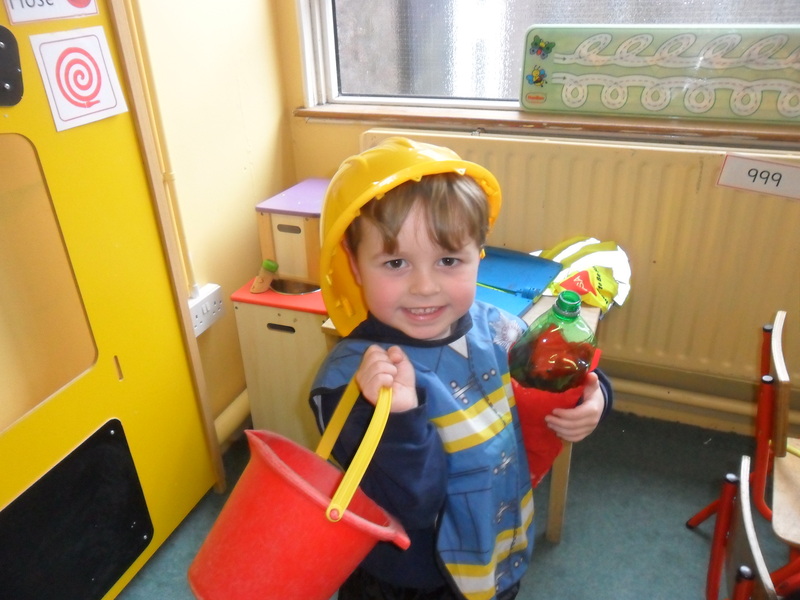 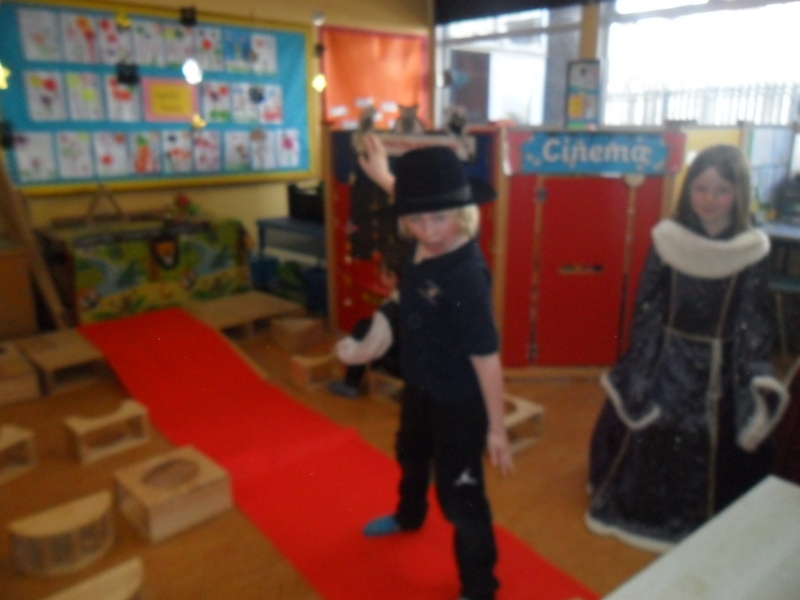 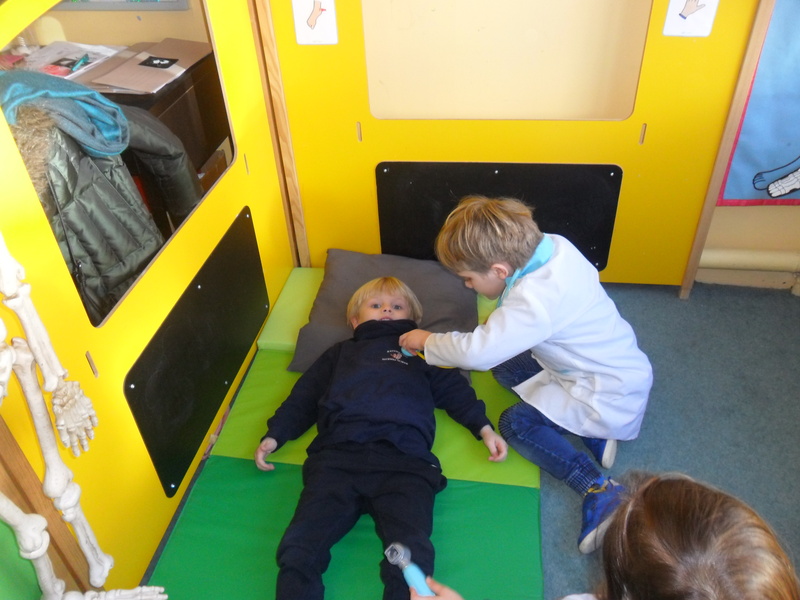 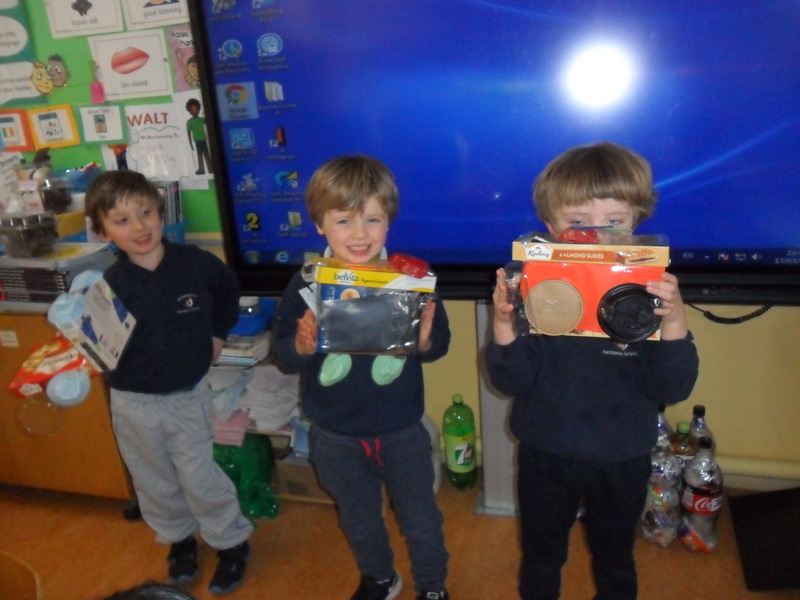 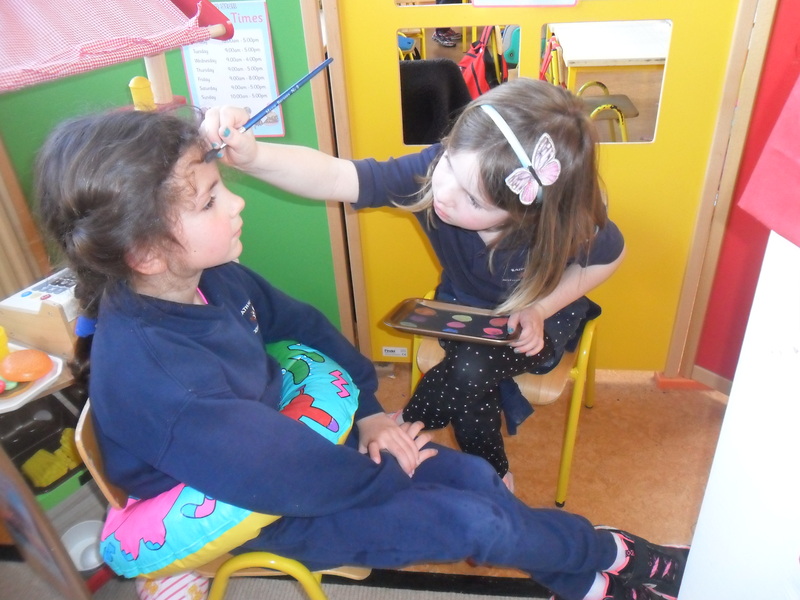 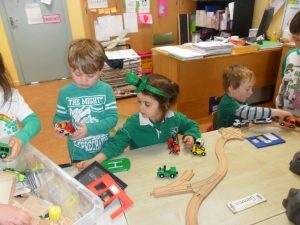 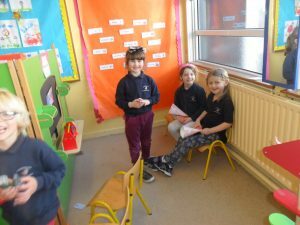 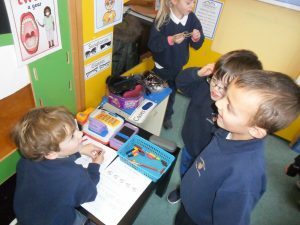 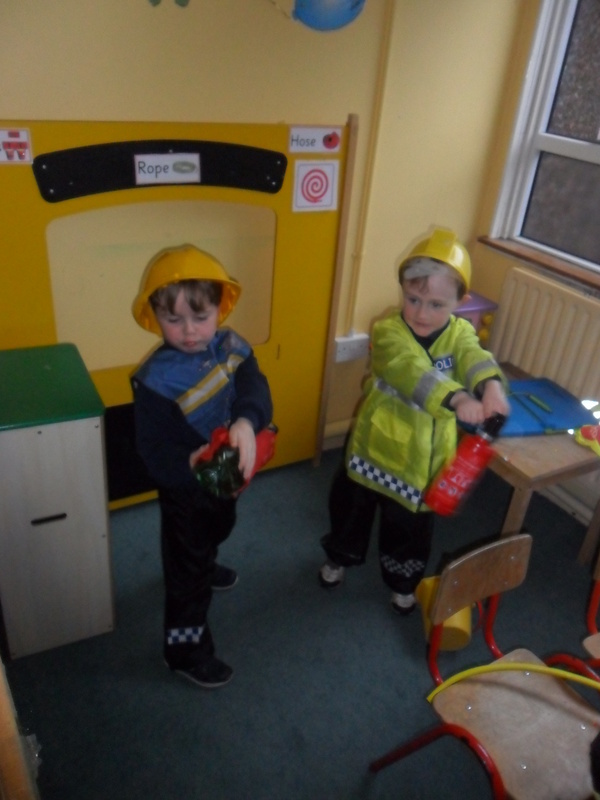 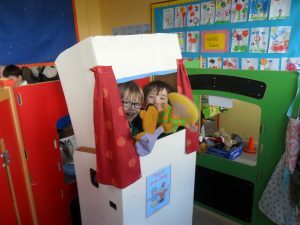 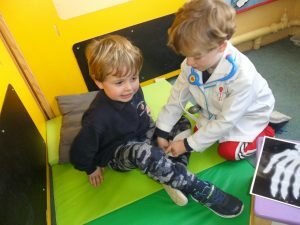 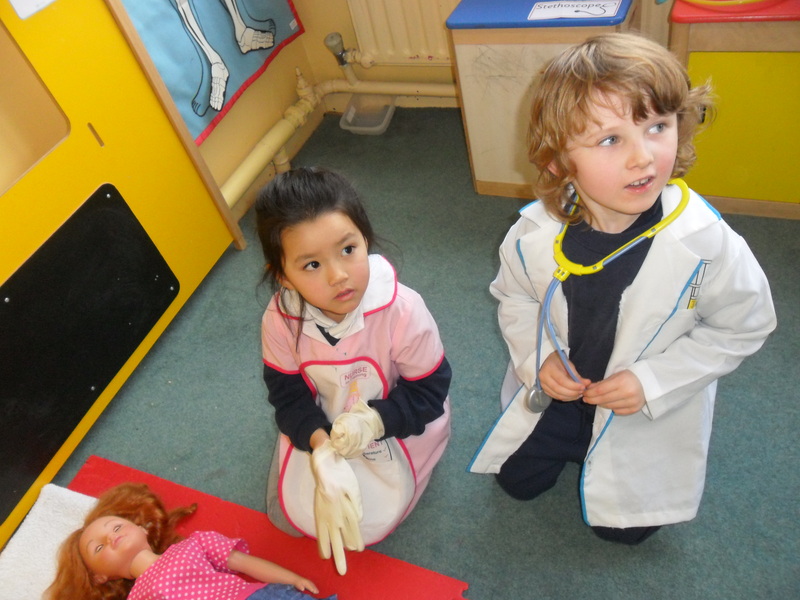 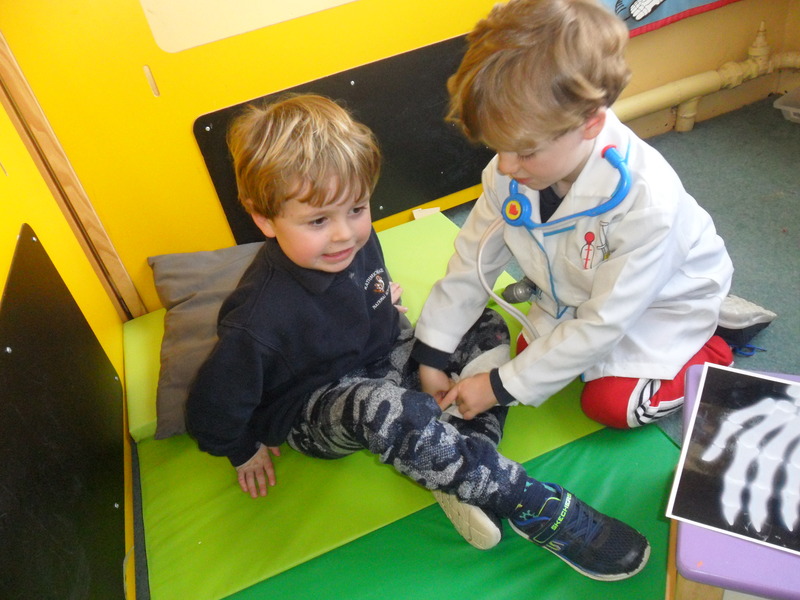 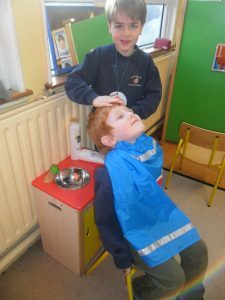 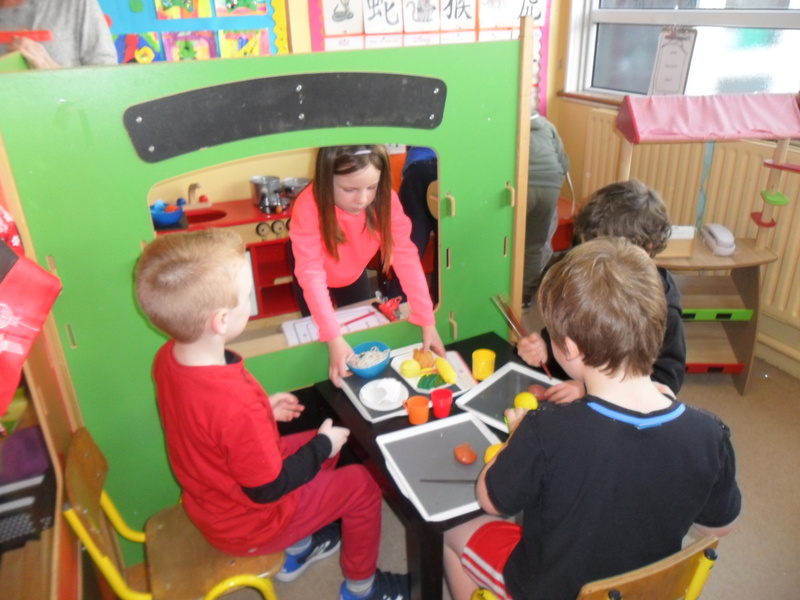 In the Home Corner the children took on different roles in ‘The Doctor’s Surgery’,’The Dentist Surgery’ and ‘The Optician’s’. 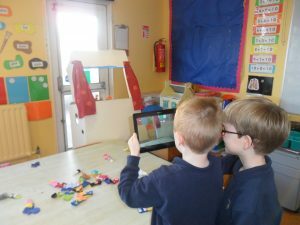 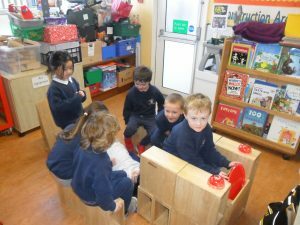 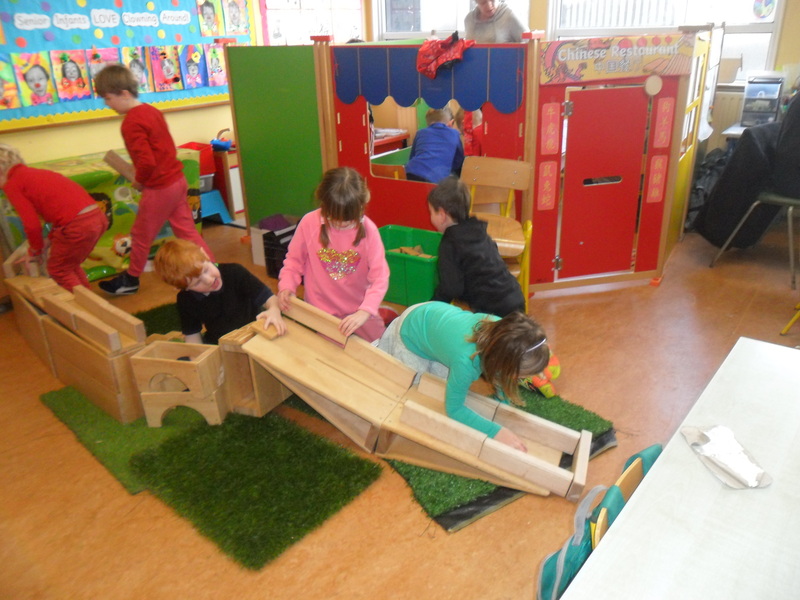 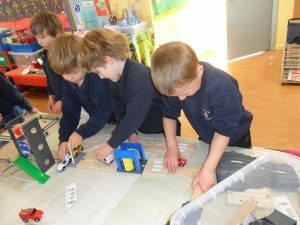 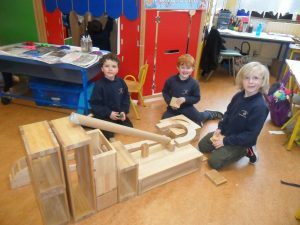 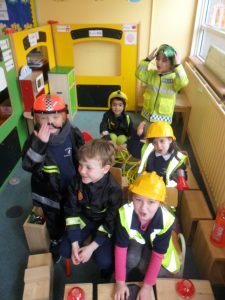 Then they continued their roles by constructing and building an ambulance from large wooden blocks and the Home Corner became the accident and emergency ward in ‘The Hospital’. 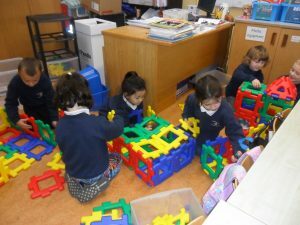 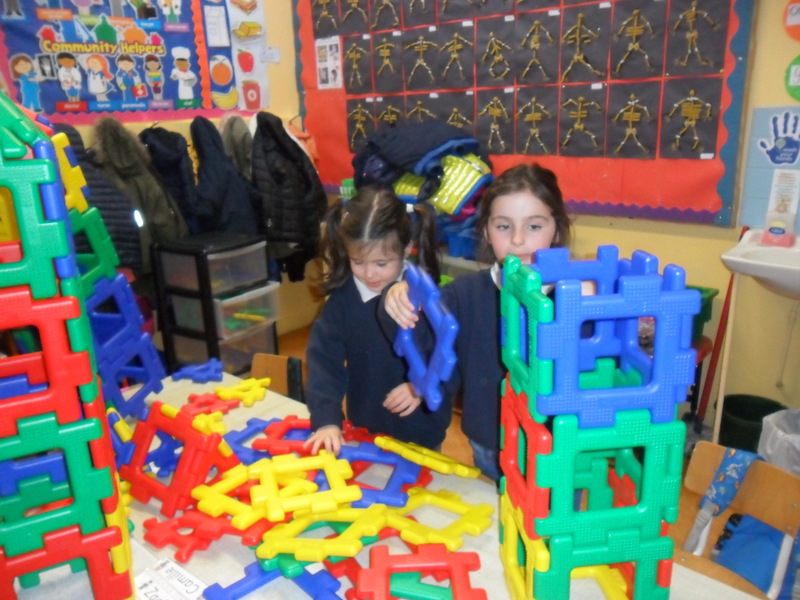 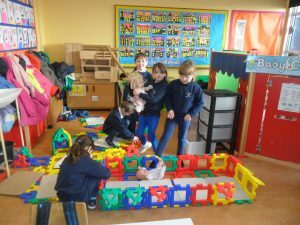 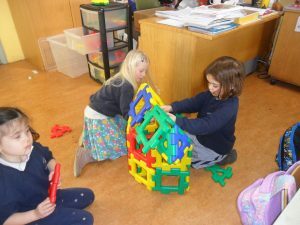 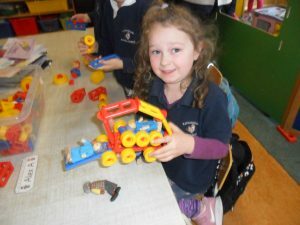 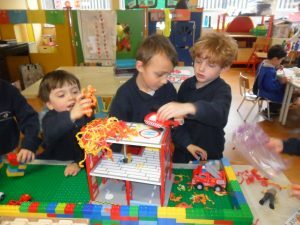 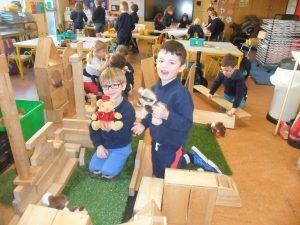 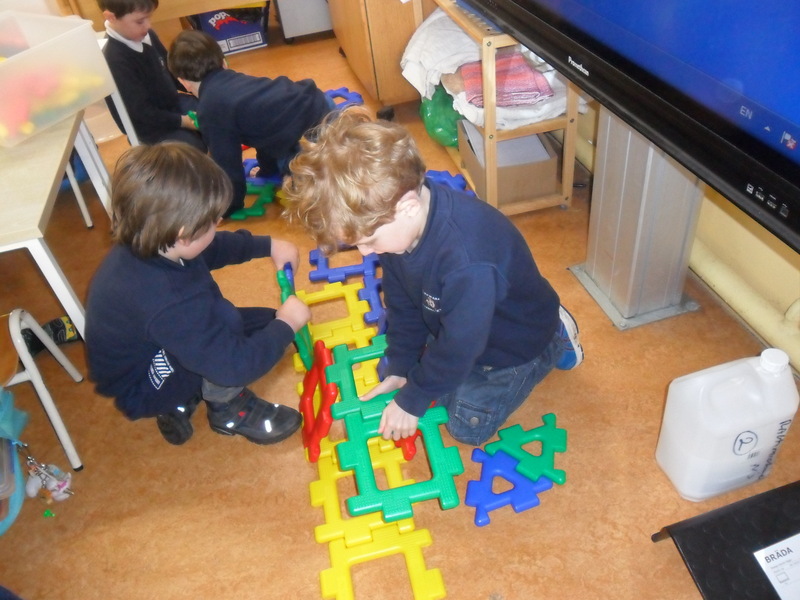 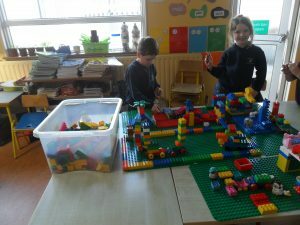 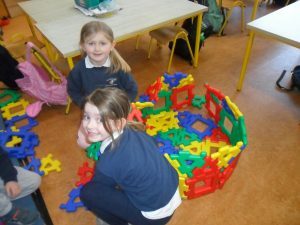 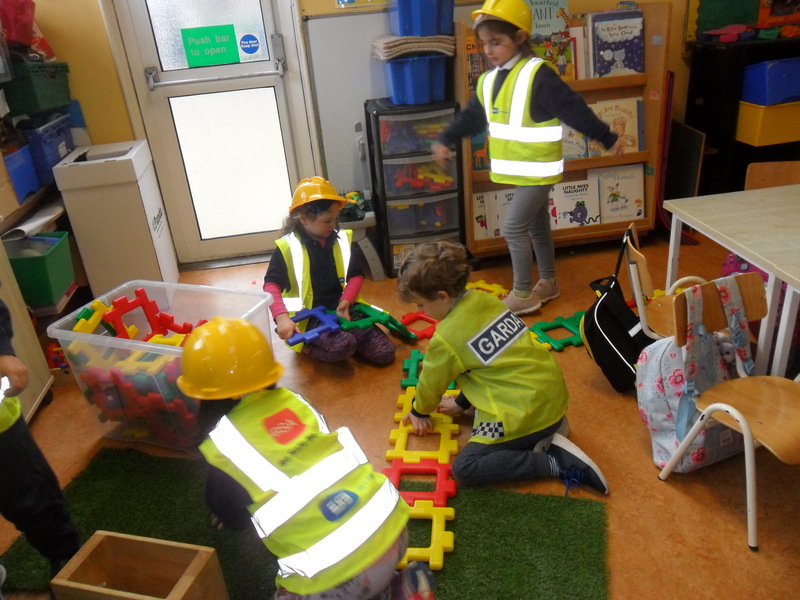 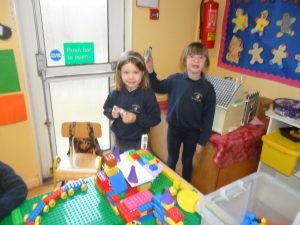 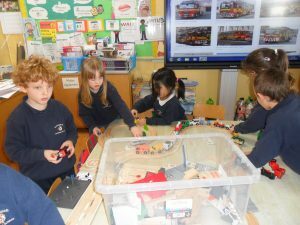 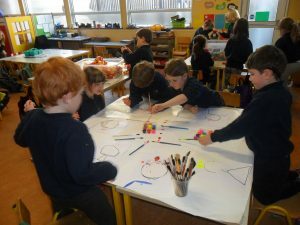 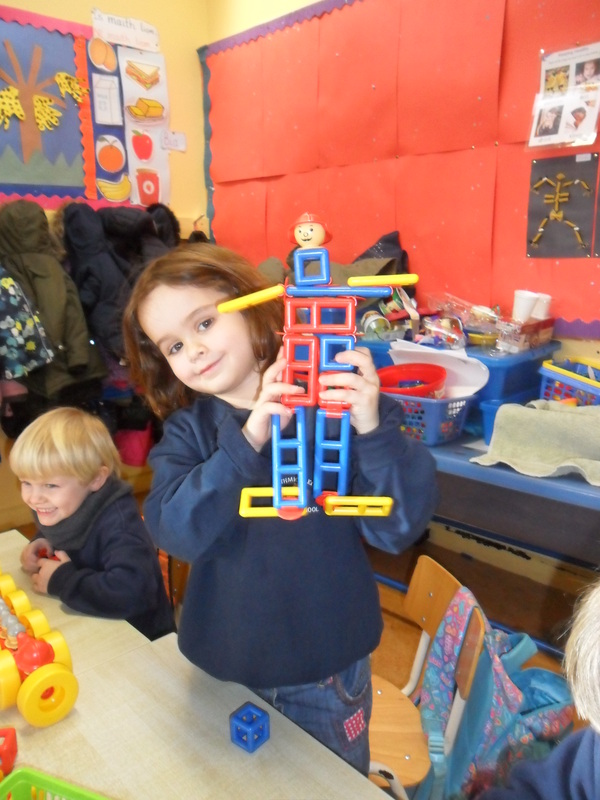 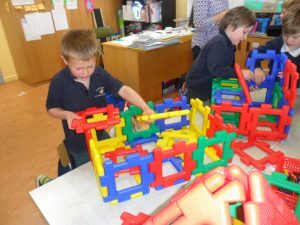 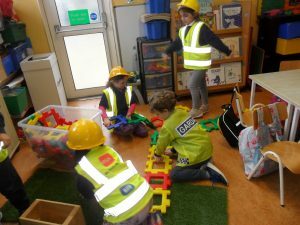 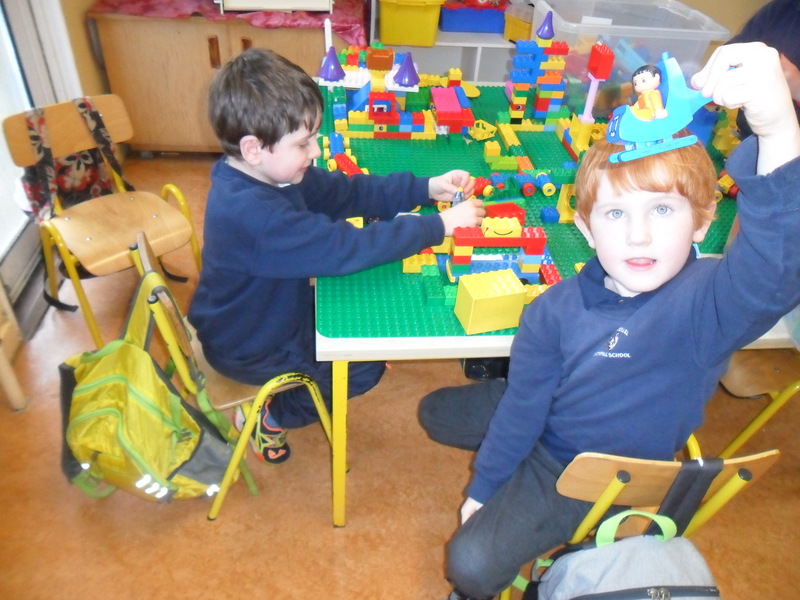 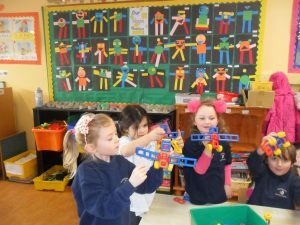 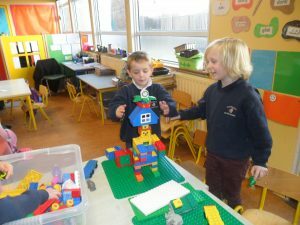 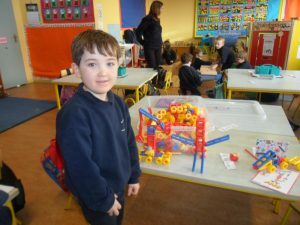 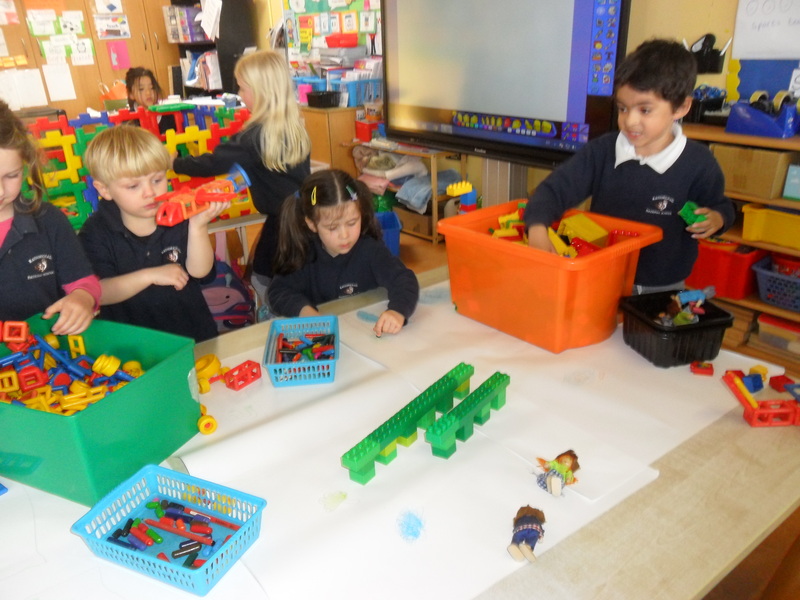 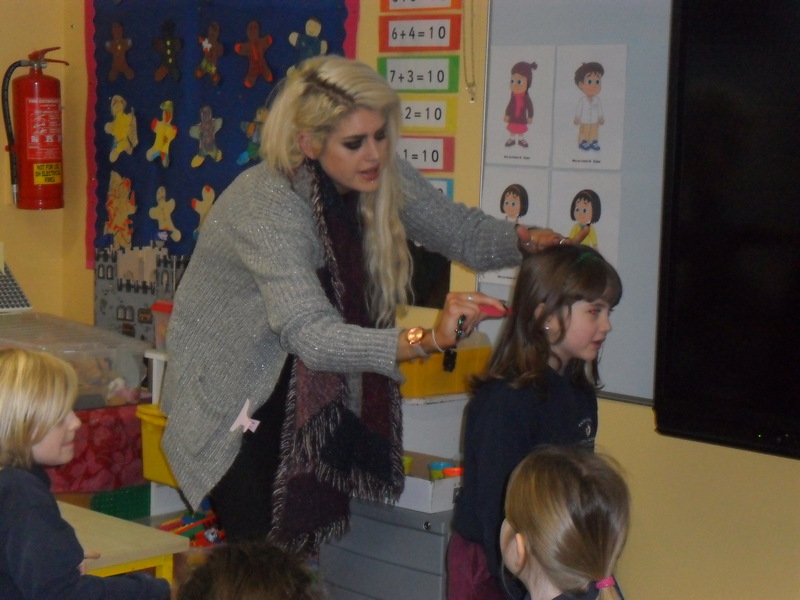 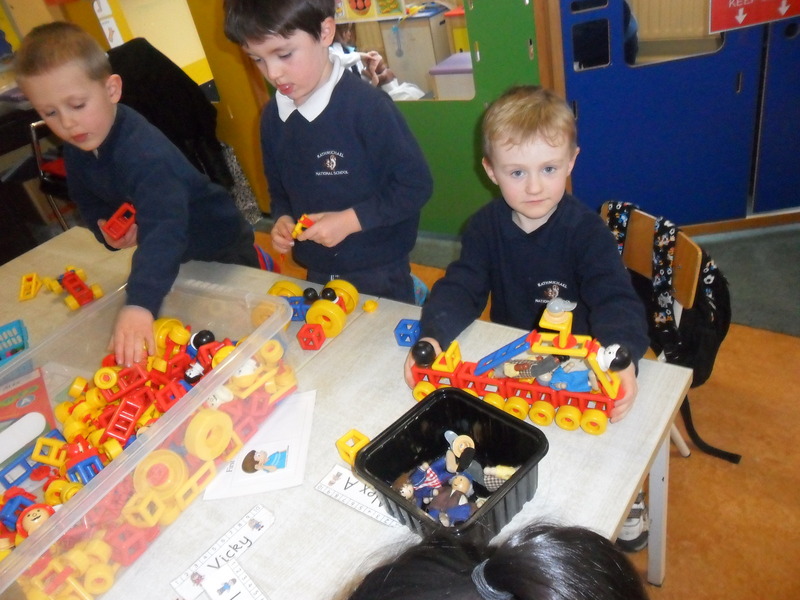 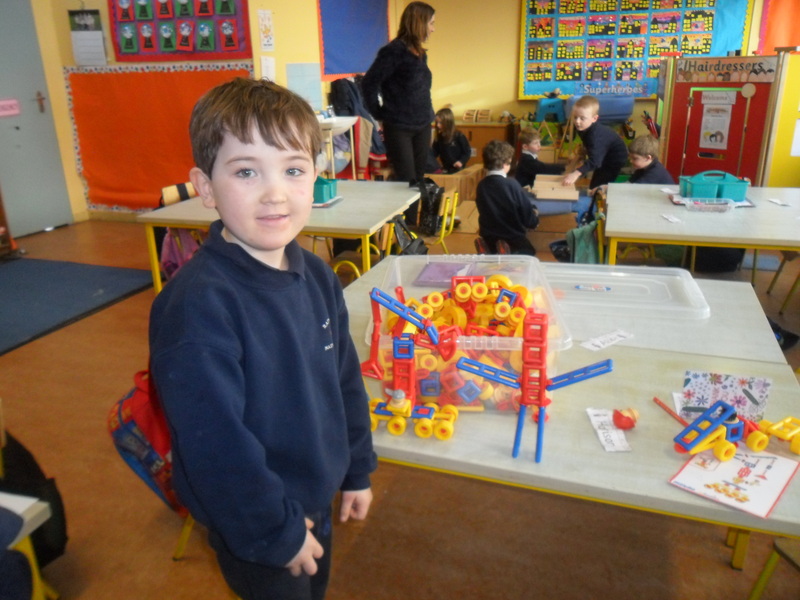 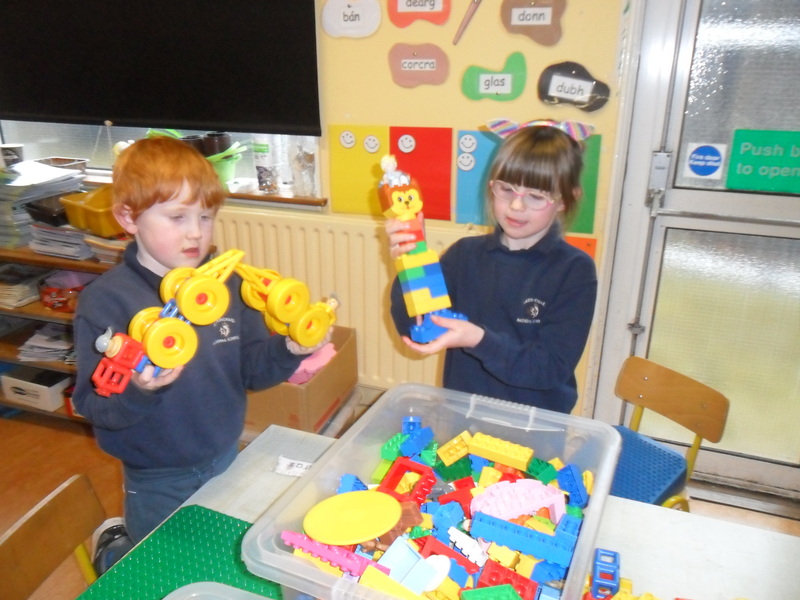 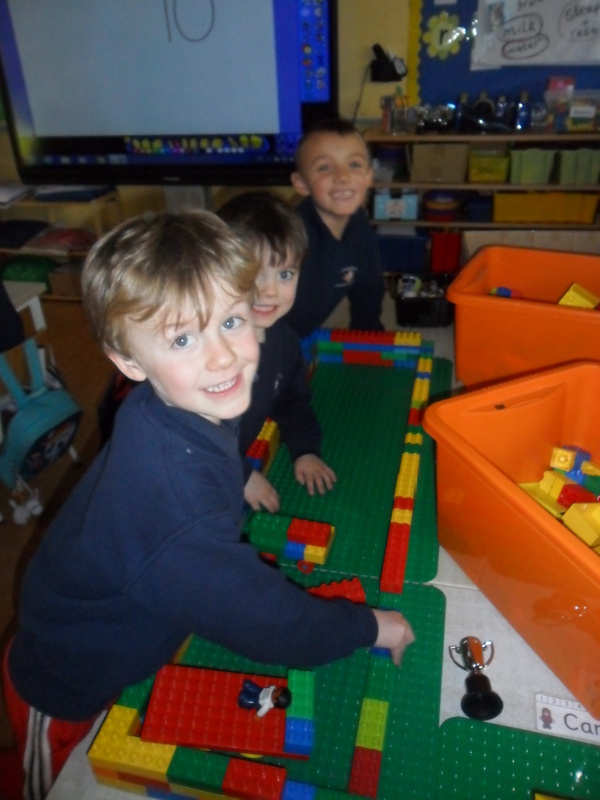 In Construction the children also made surgeries and hospitals from polydron blocks. 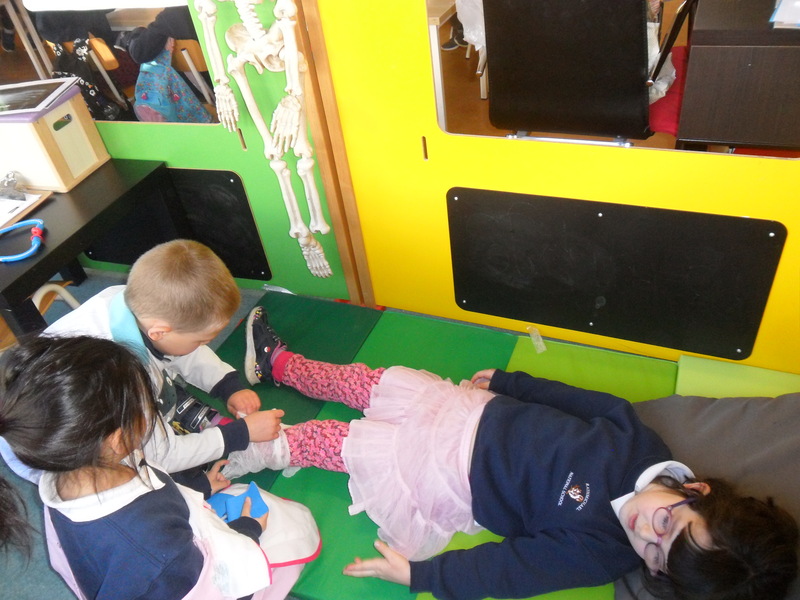 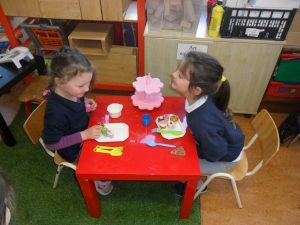 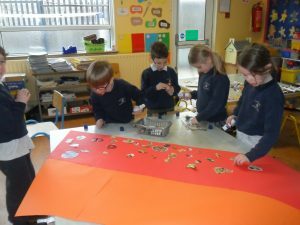 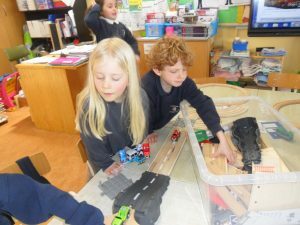 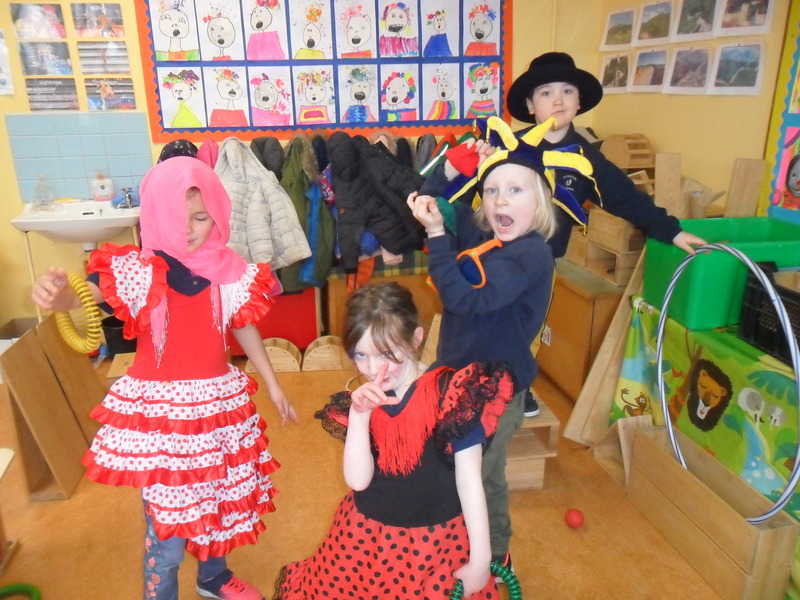 In Small World they created bodies from Mobilo and built hospitals and ambulances from lego .The children also created skeletons and healthy dinner plates from playdough . 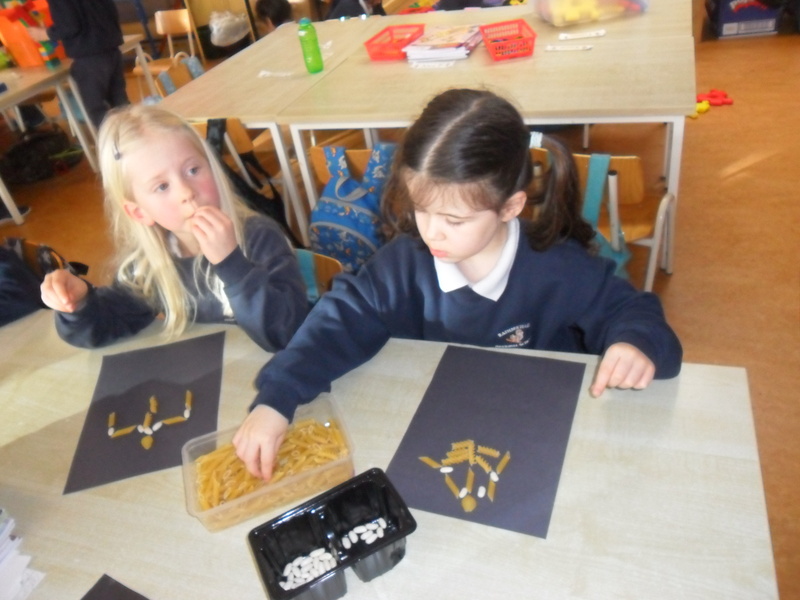 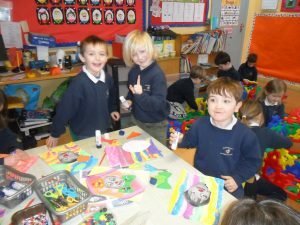 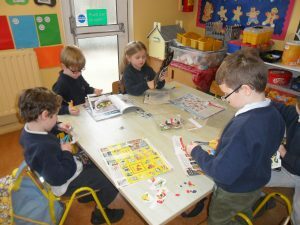 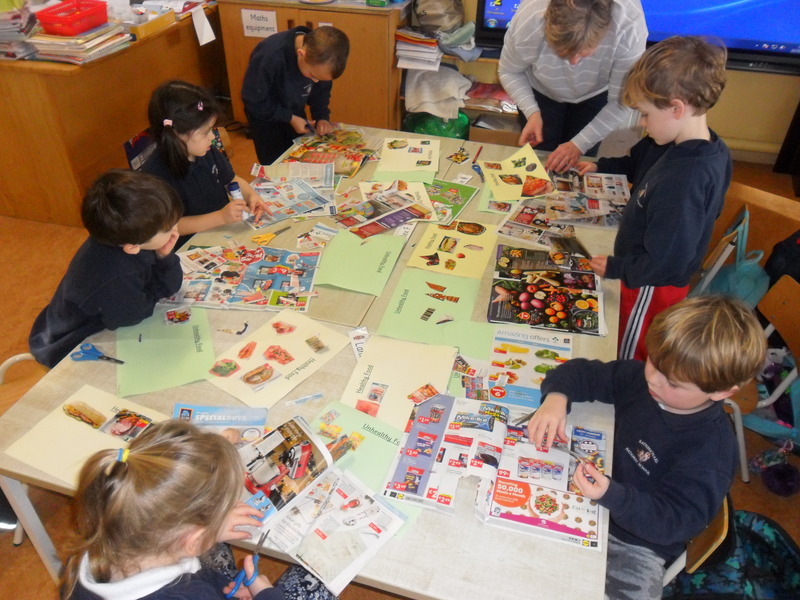 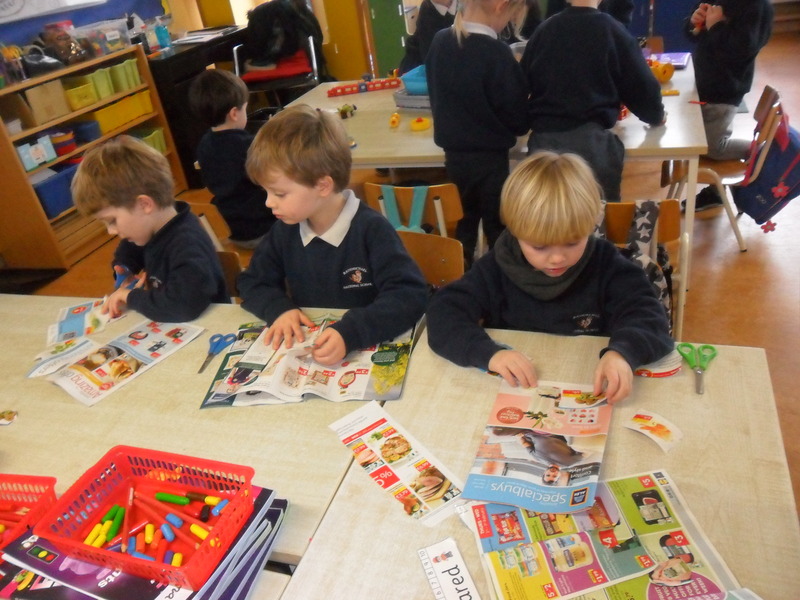 At the Art Table the children made skeletons from pasta and created pictures of healthy and unhealthy foods by cutting food pictures out of magazines. 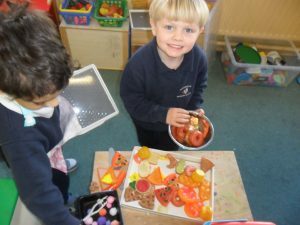 They decorated their own healthy fruit bowl based on the story ‘Handa’s Surprise’.The children decorated around their baby photograph and they talked about what has changed and what has stayed the same. 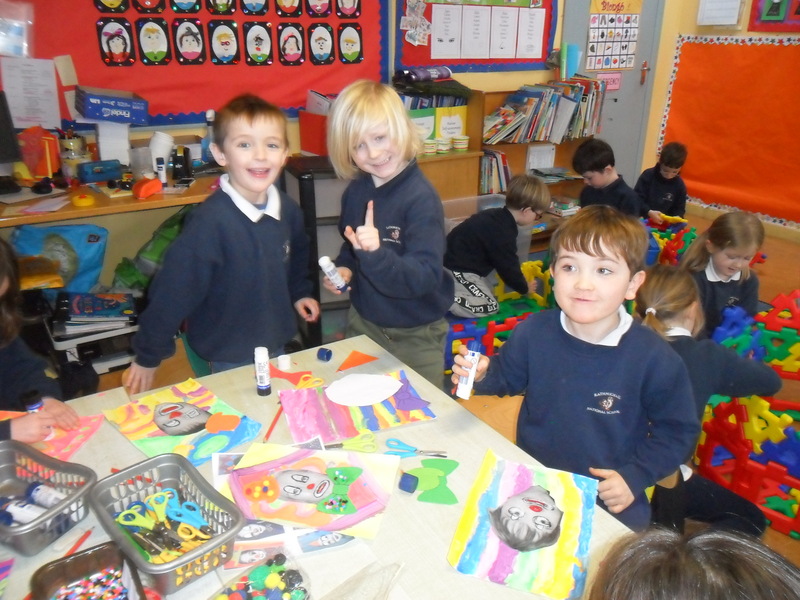 As it was winter we also made a snowman picture.